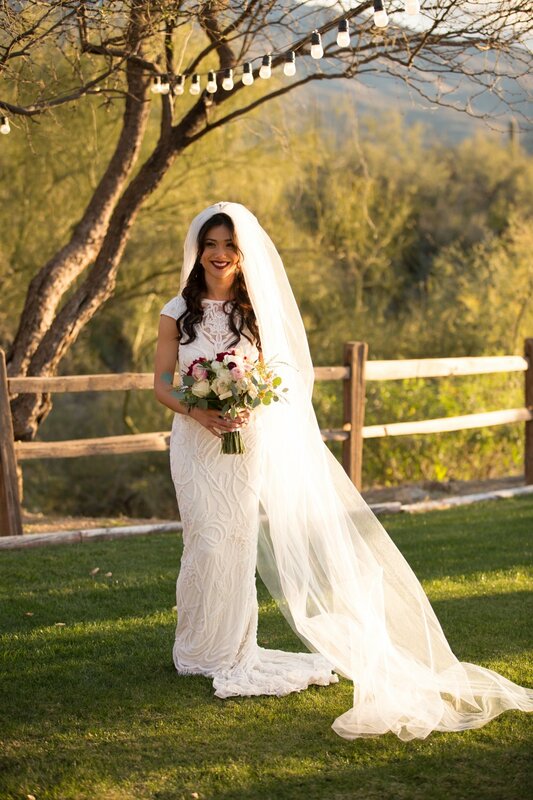 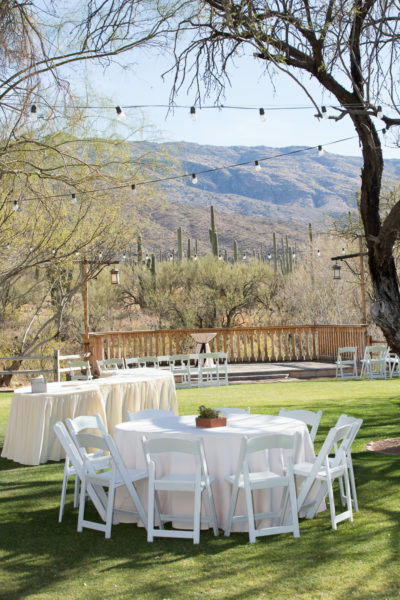 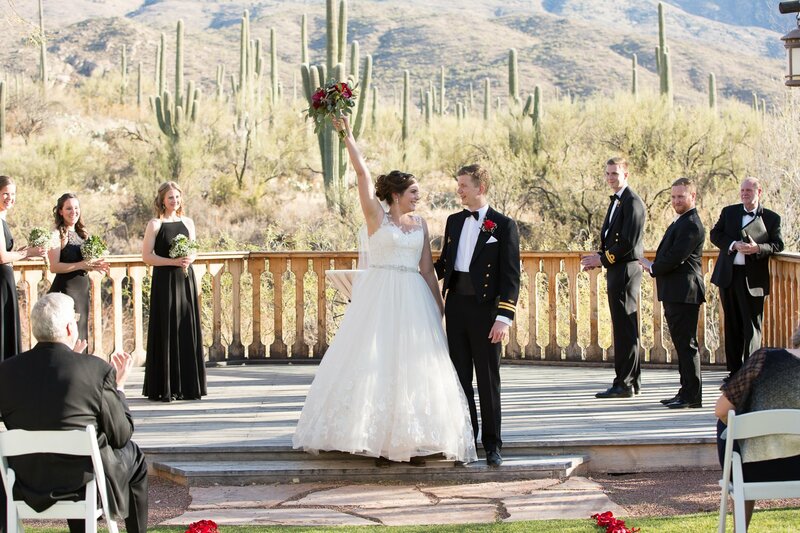 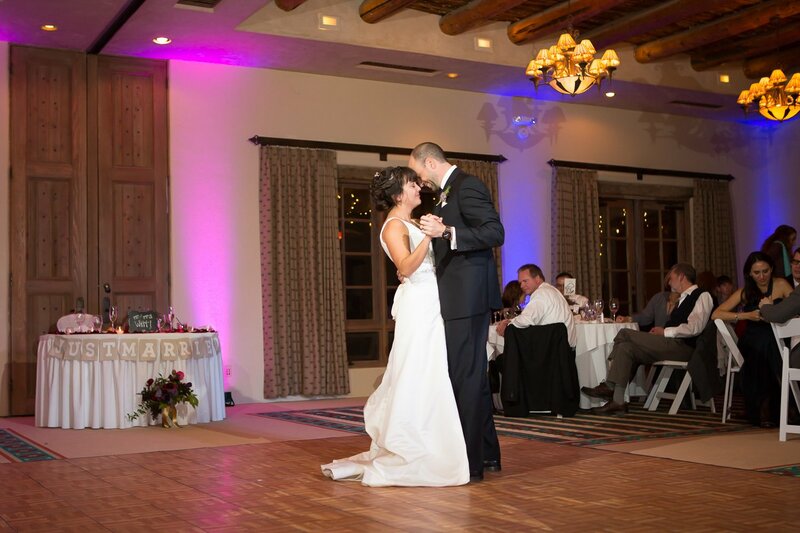 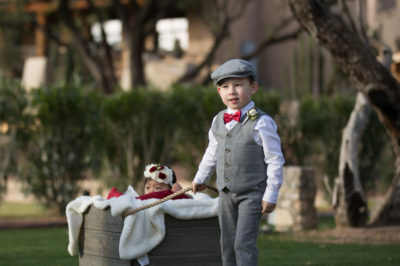 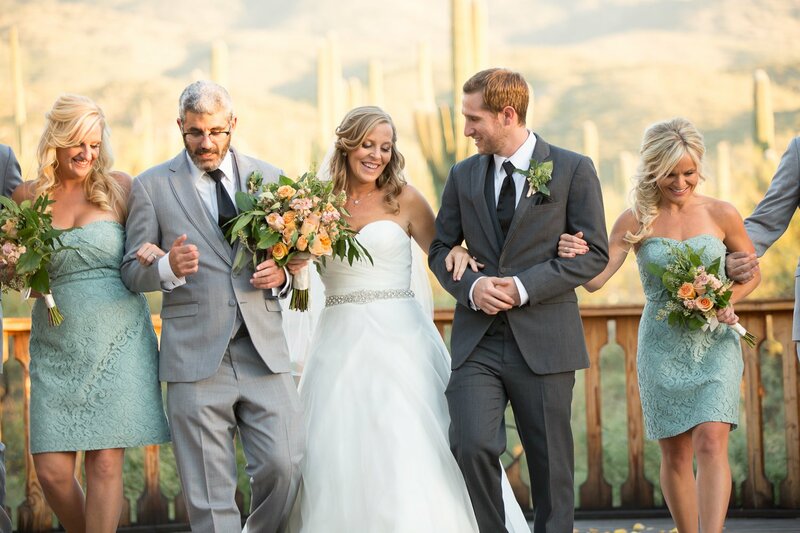 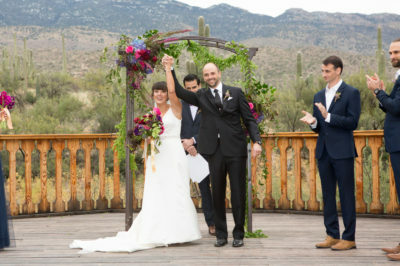 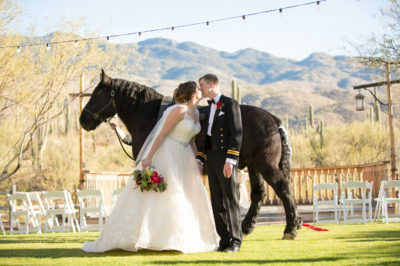 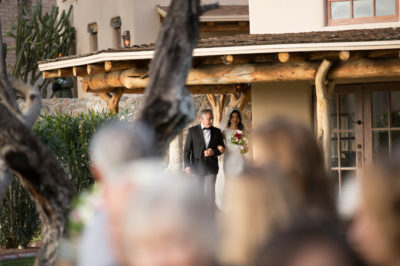 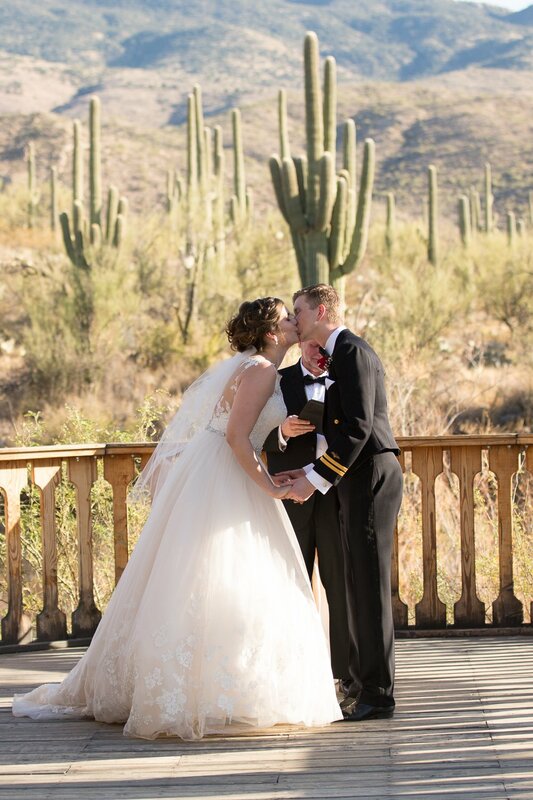 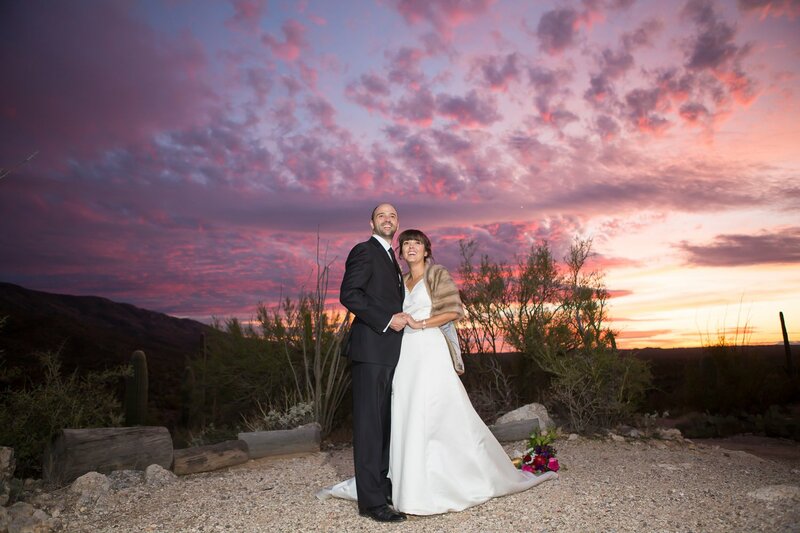 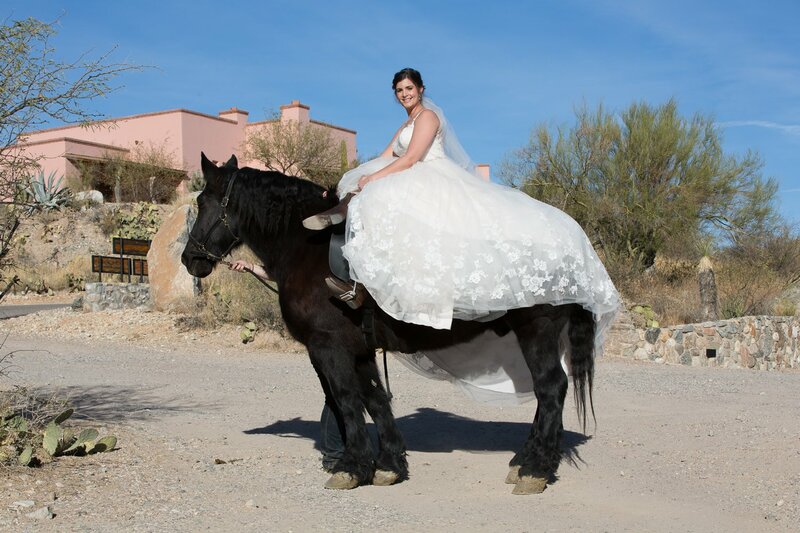 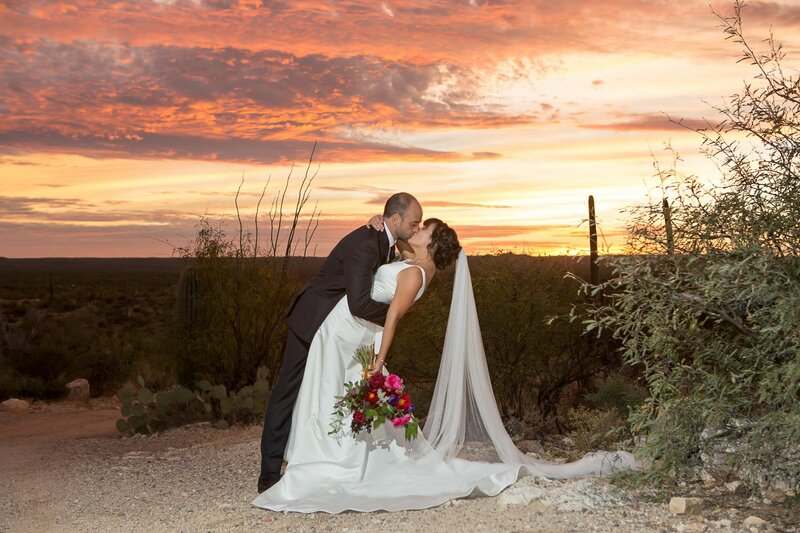 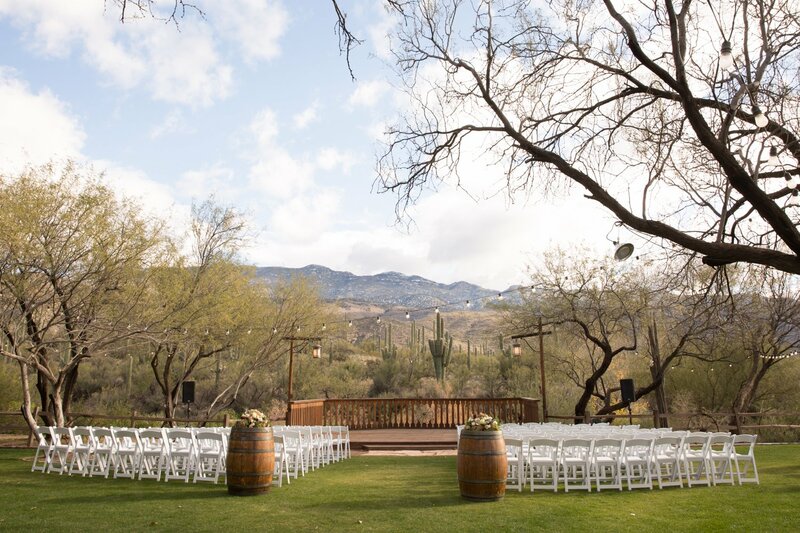 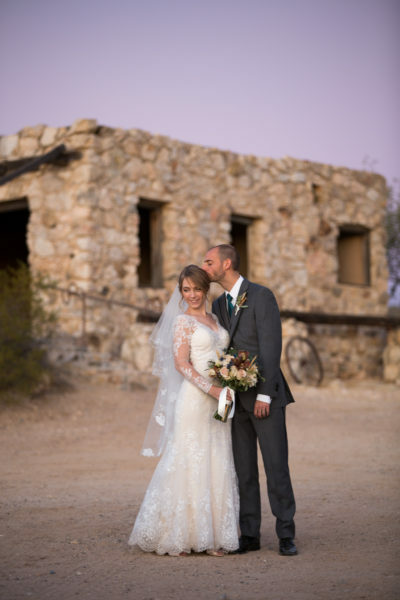 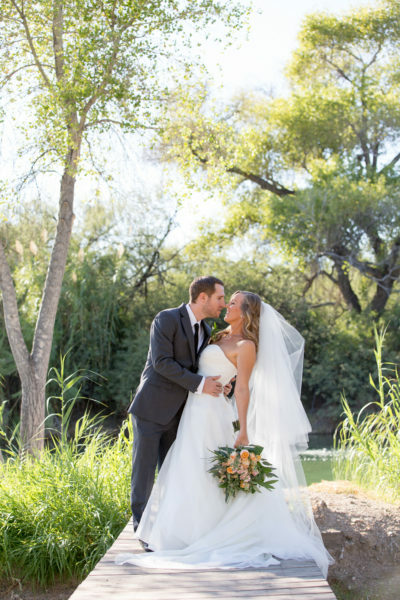 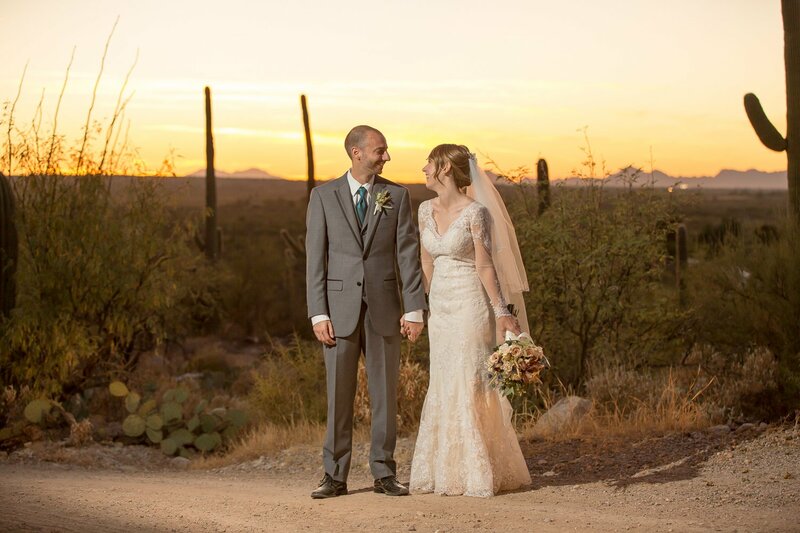 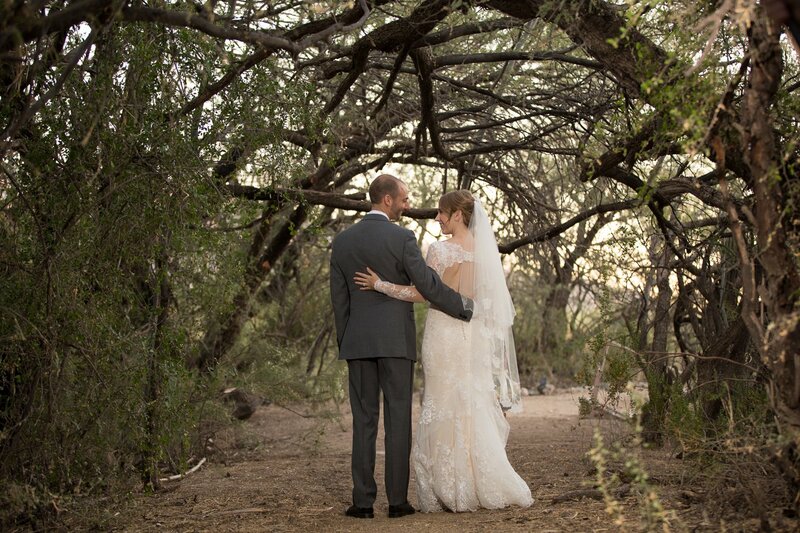 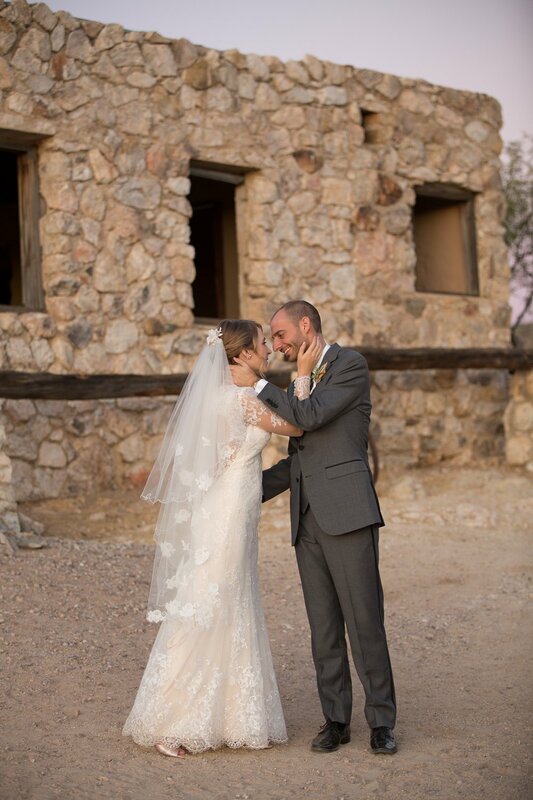 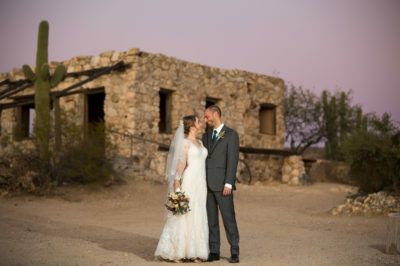 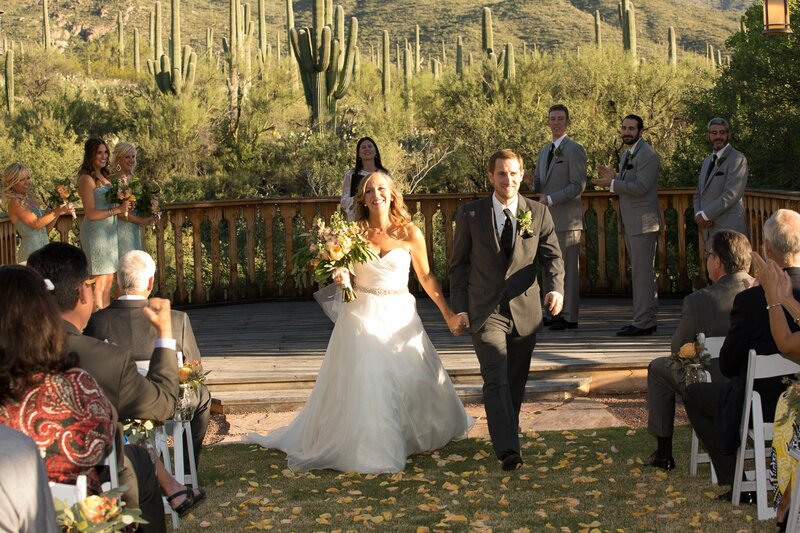 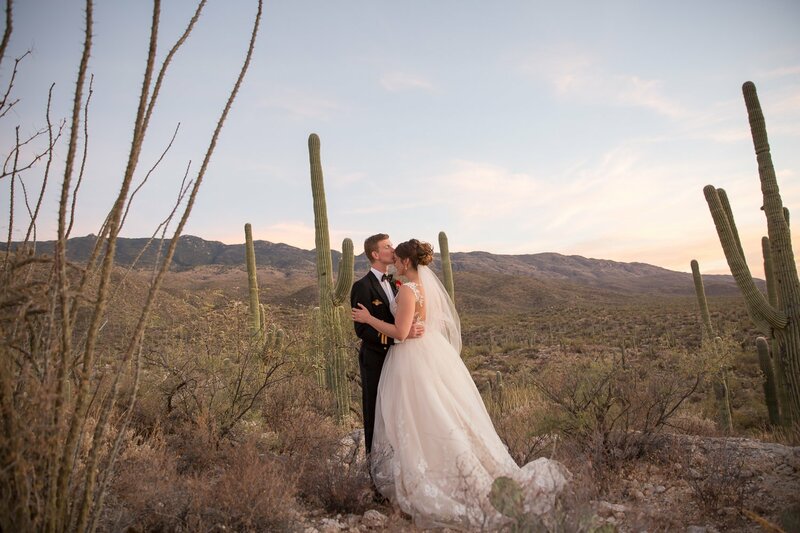 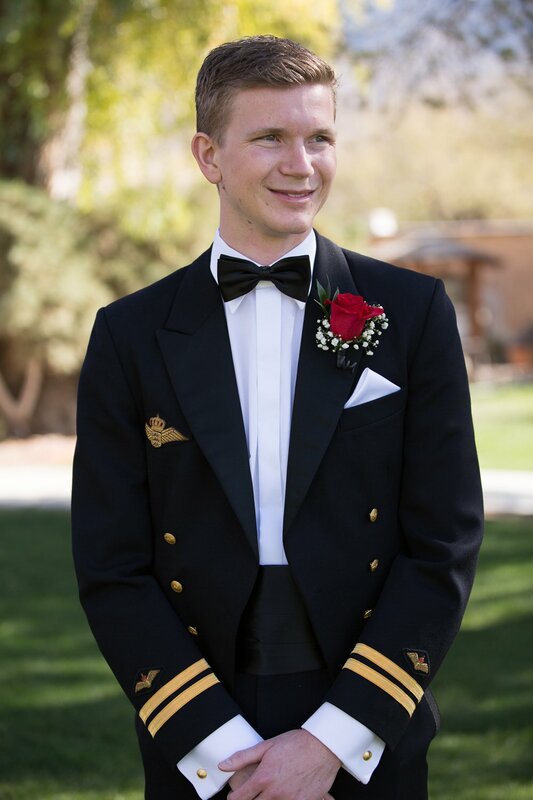 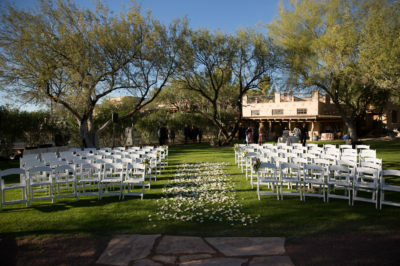 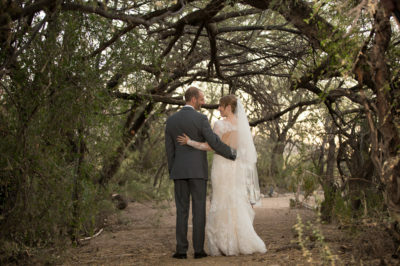 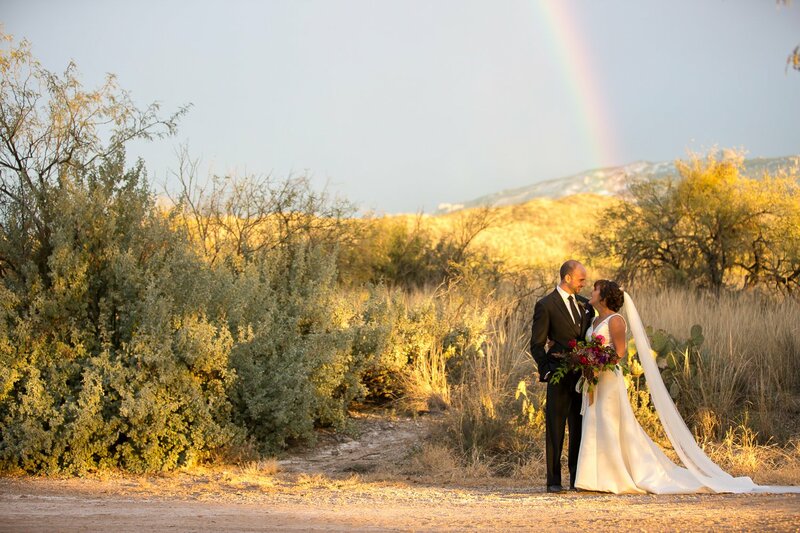 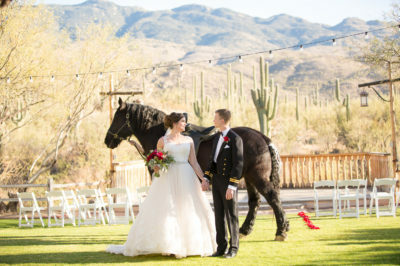 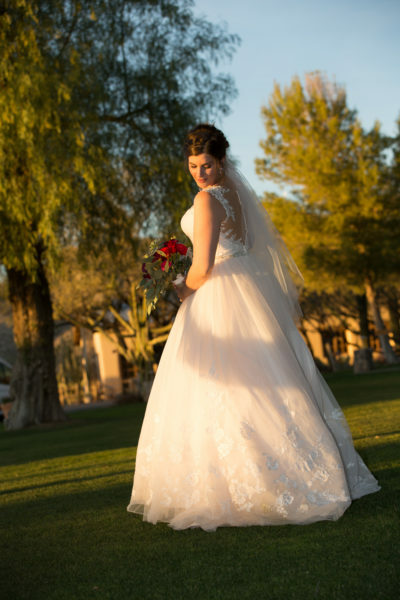 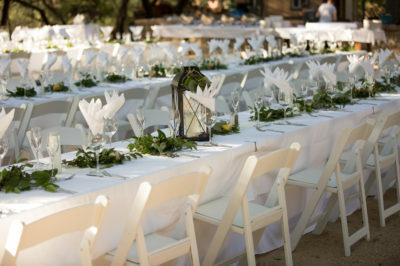 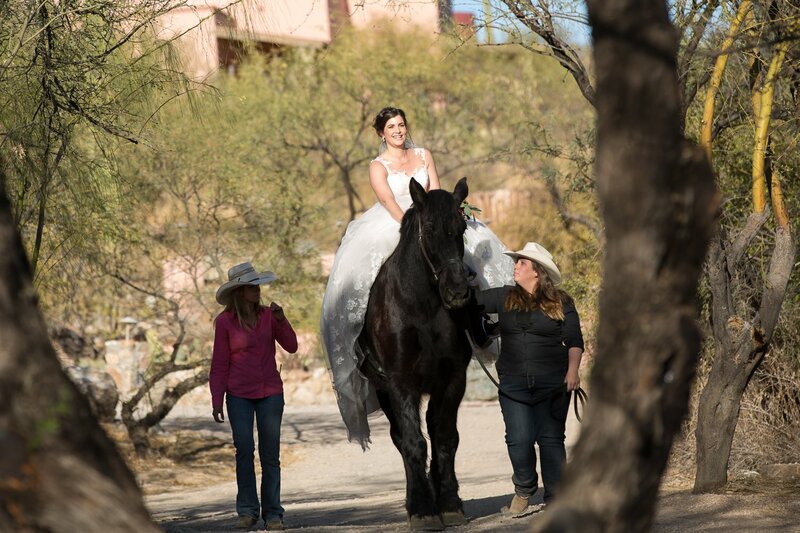 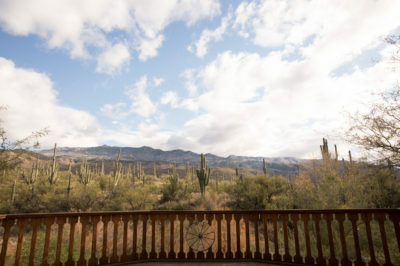 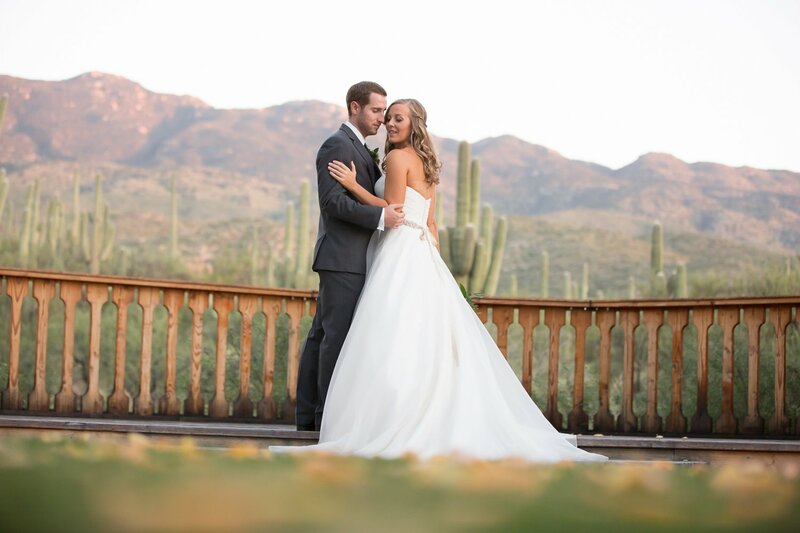 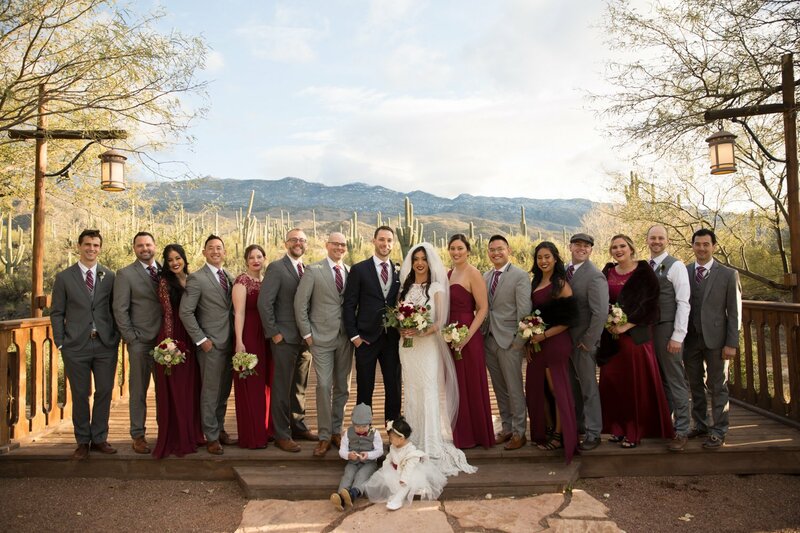 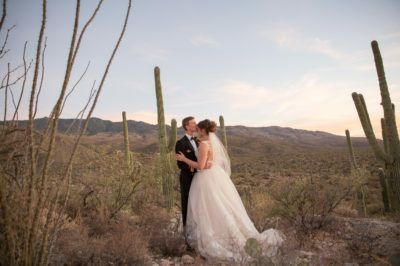 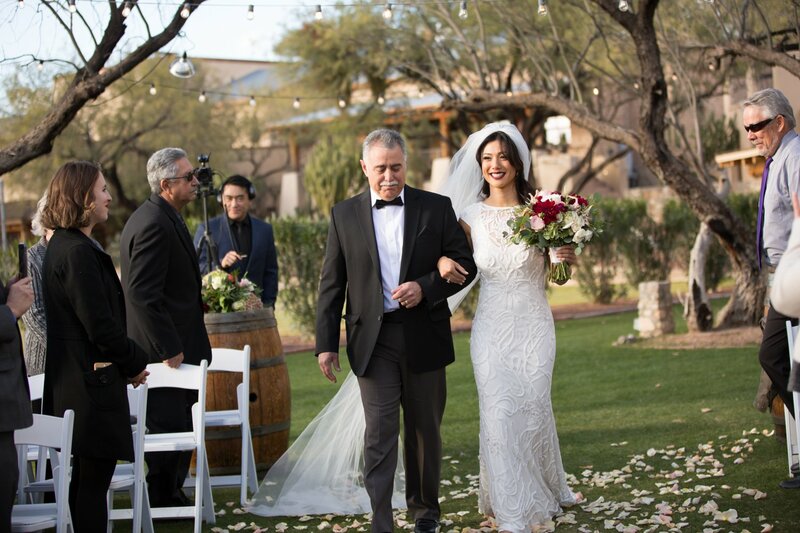 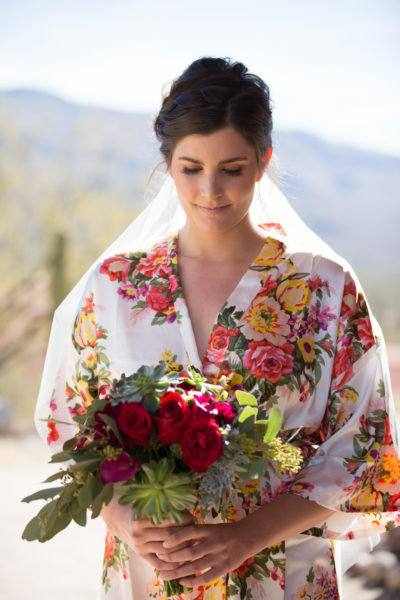 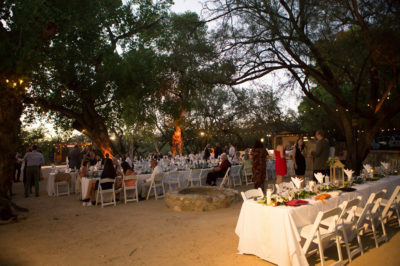 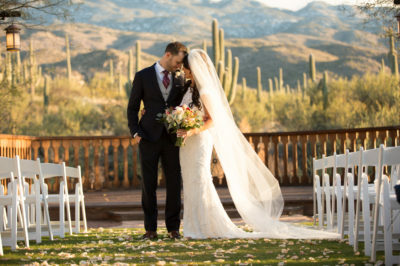 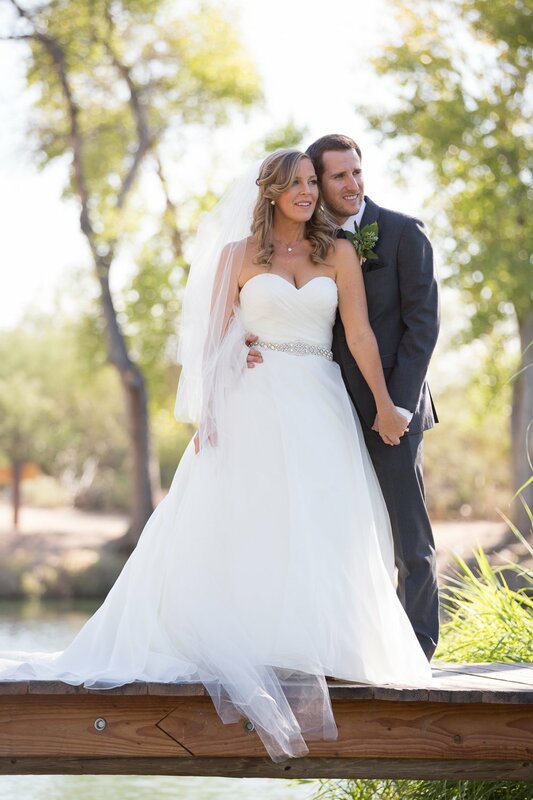 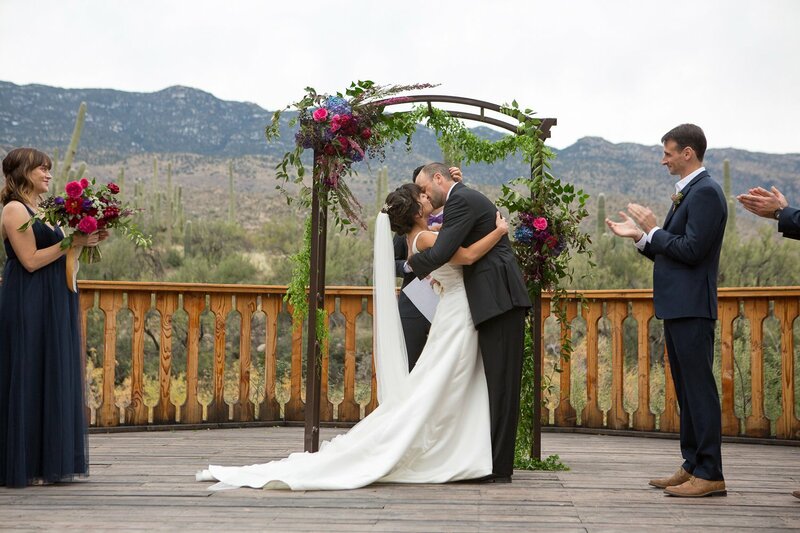 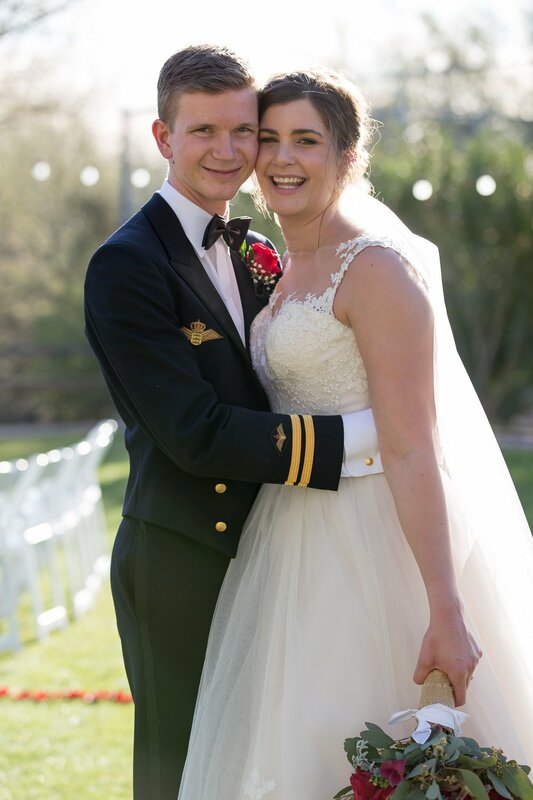 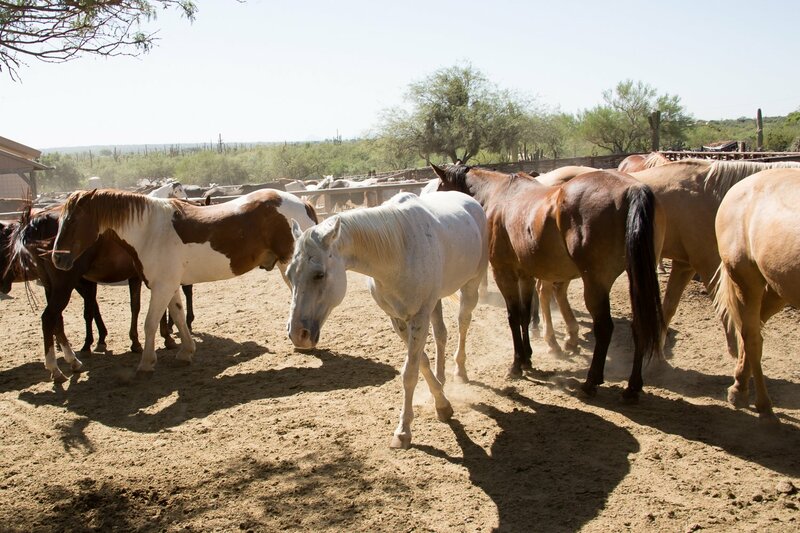 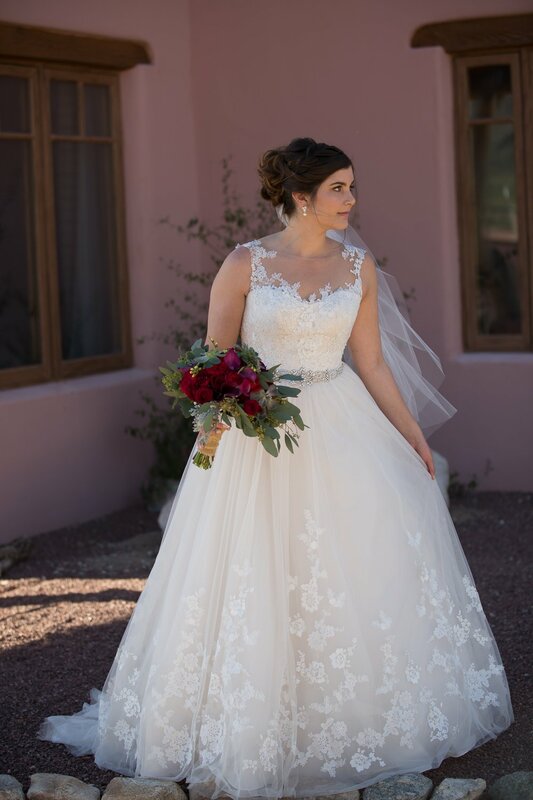 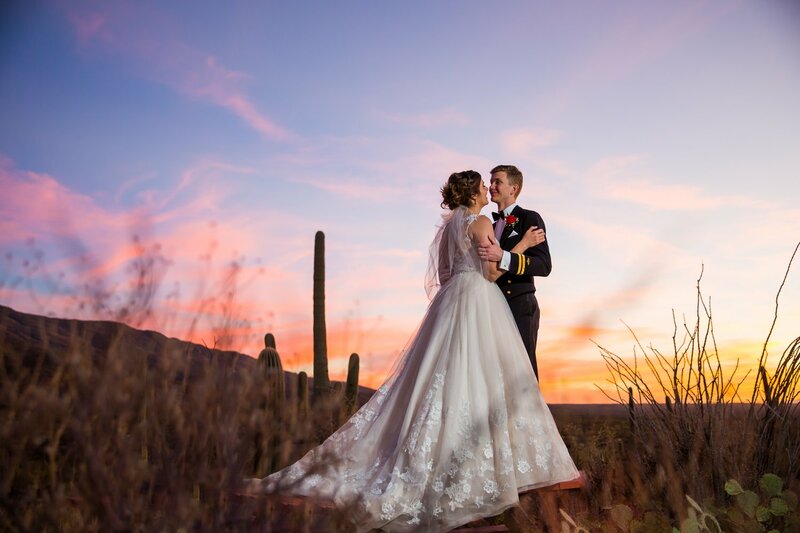 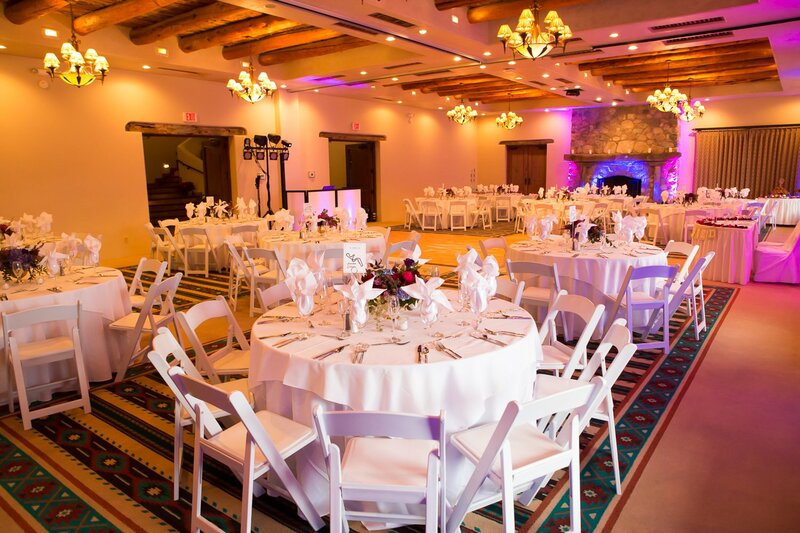 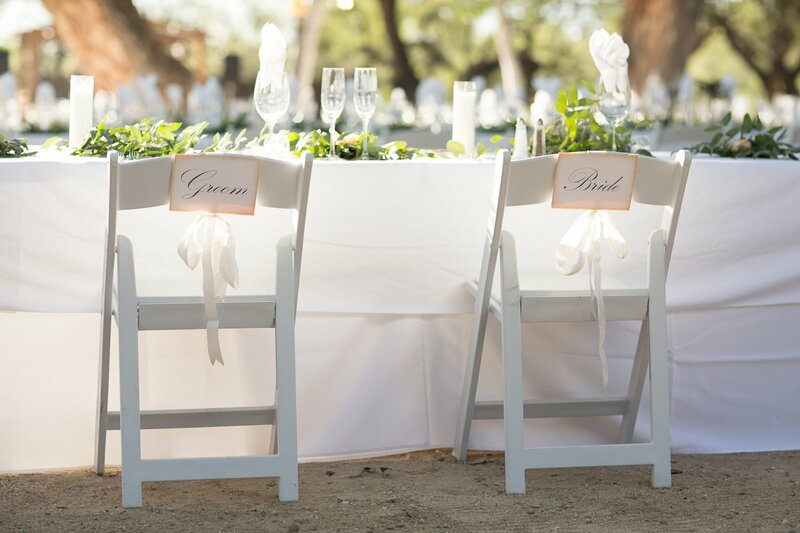 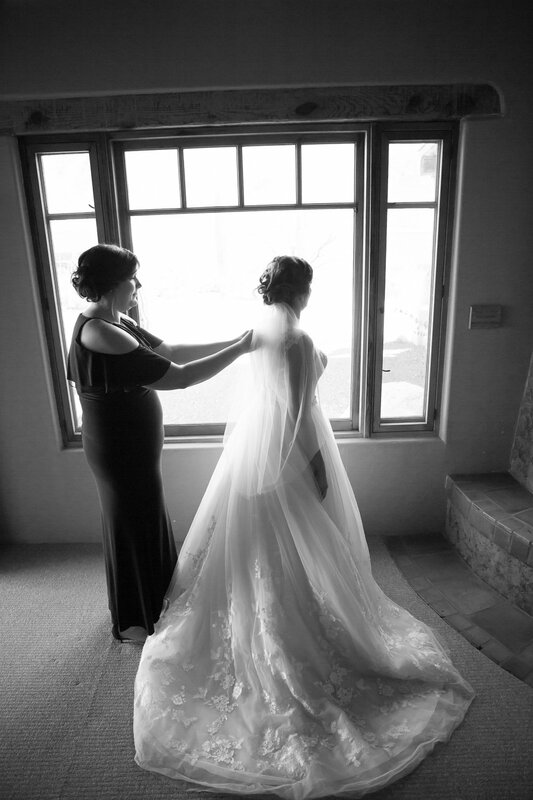 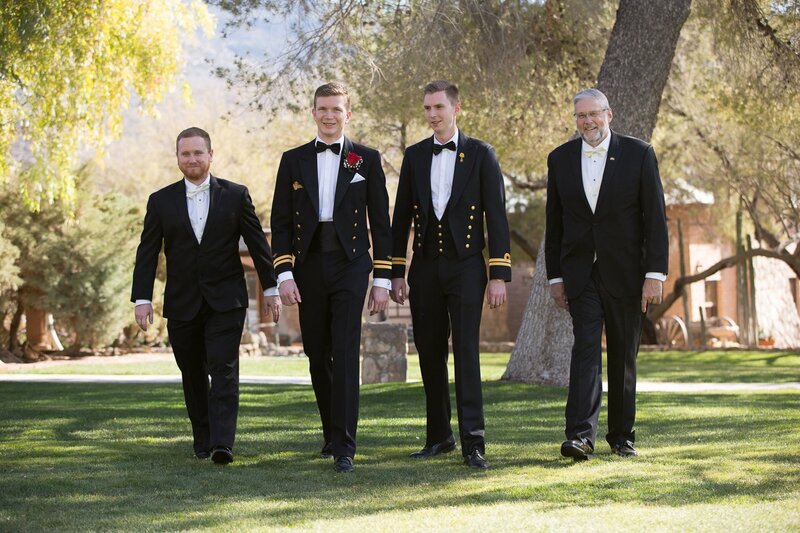 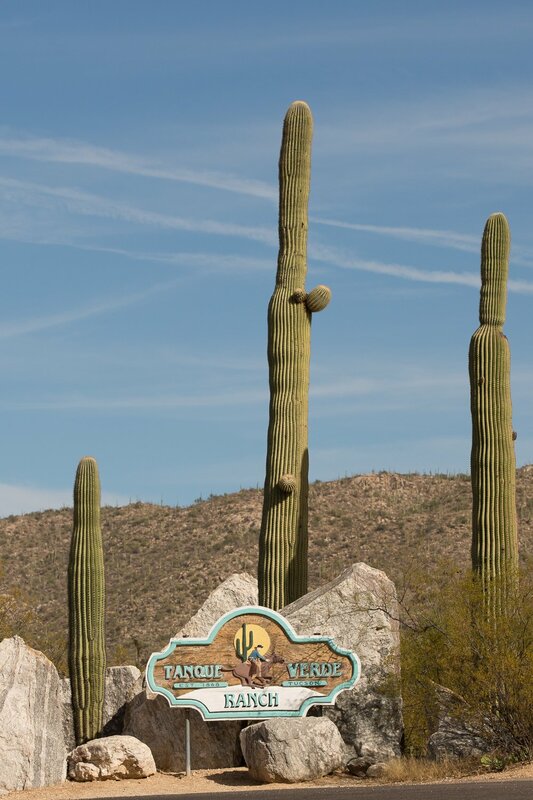 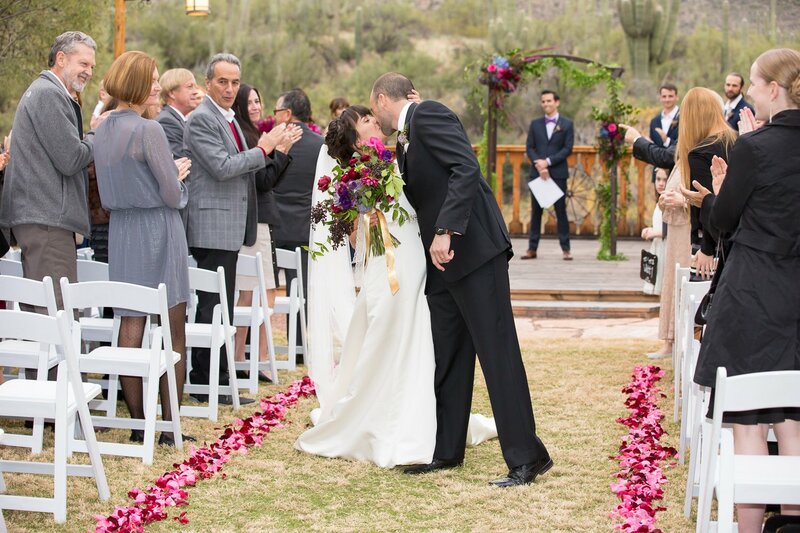 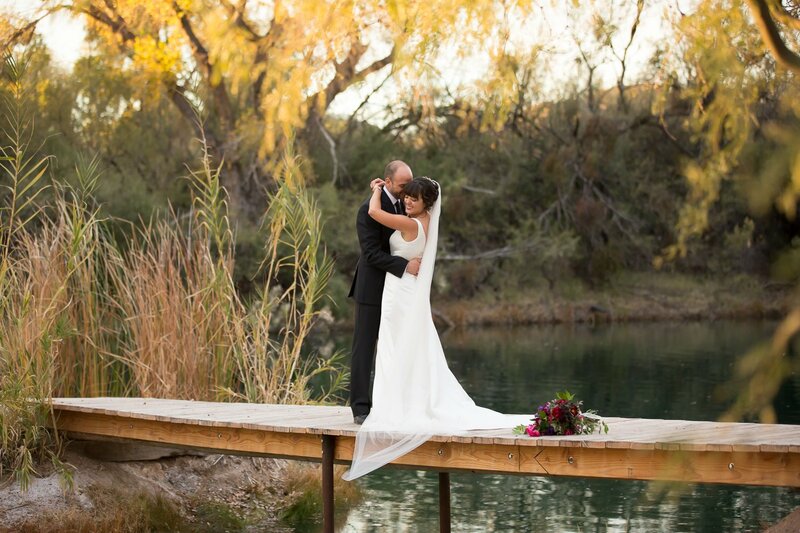 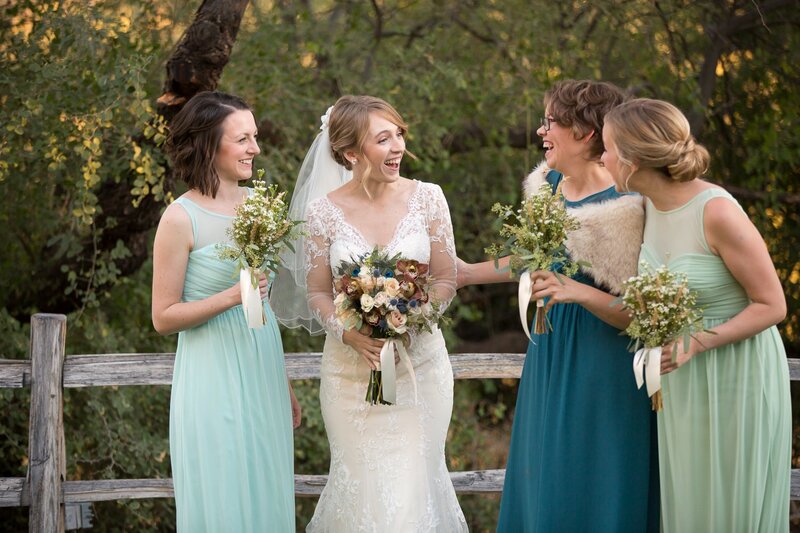 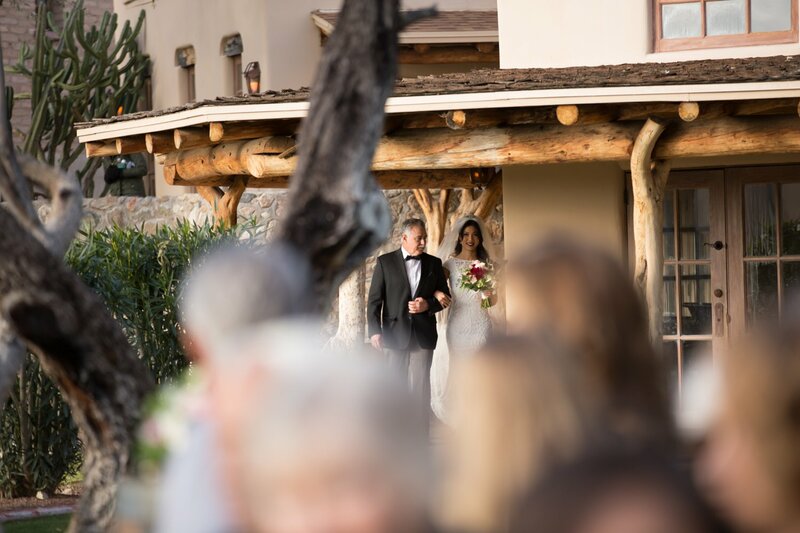 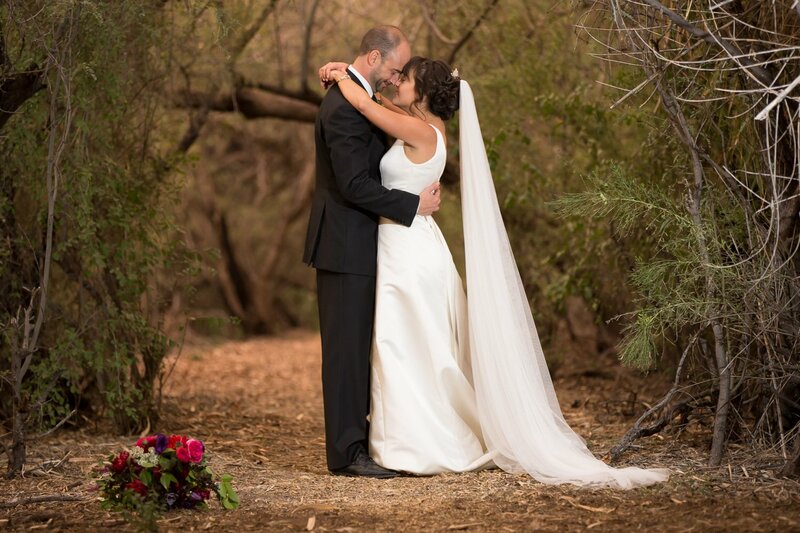 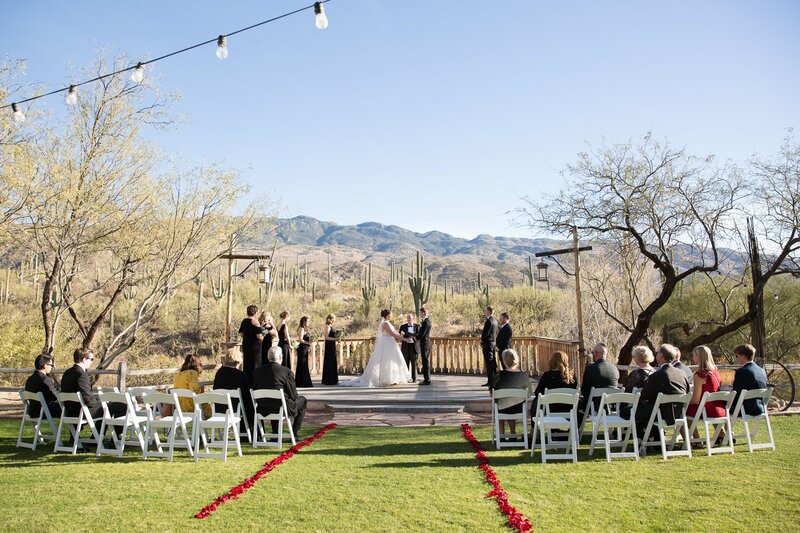 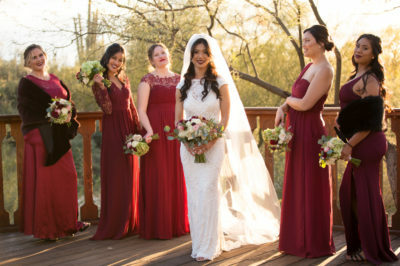 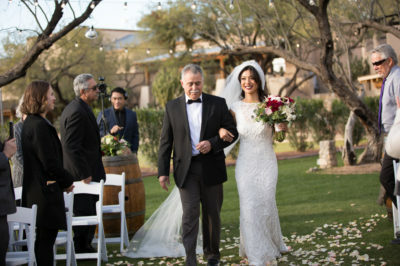 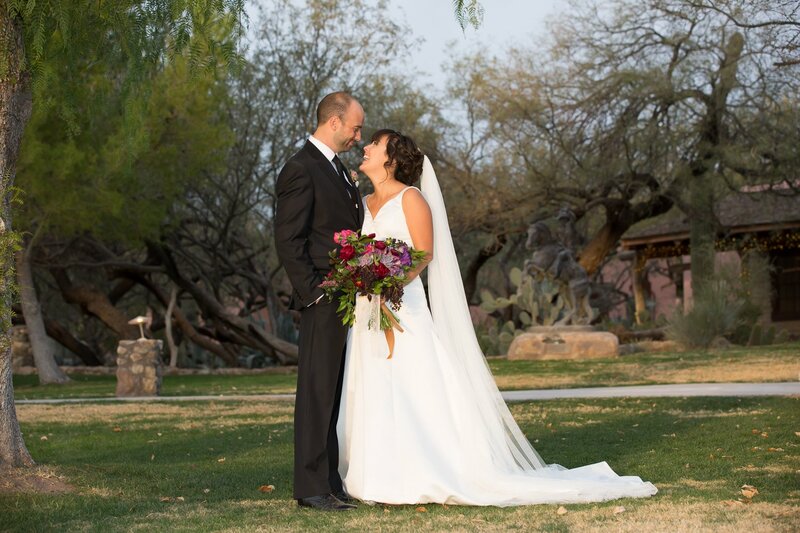 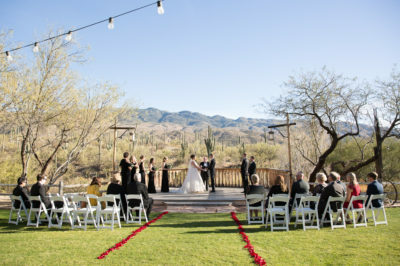 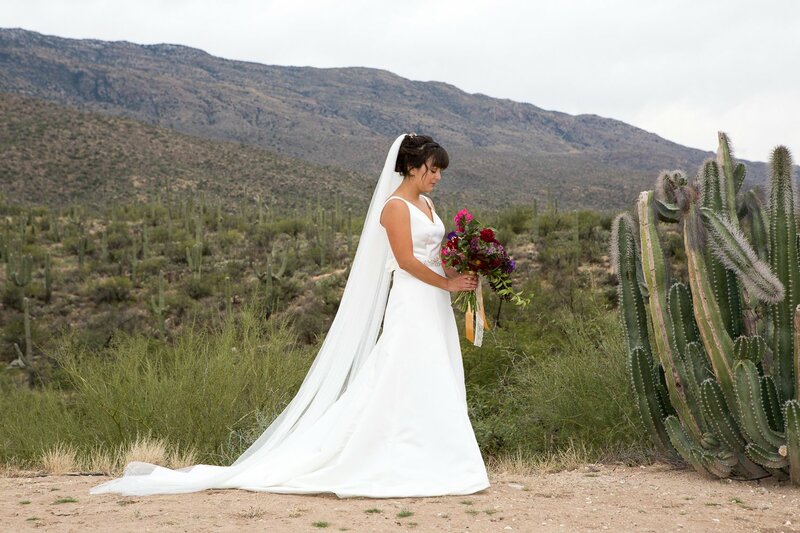 Weddings at Tanque Verde Guest Ranch offer the perfect backdrops for small or large weddings in Tucson. 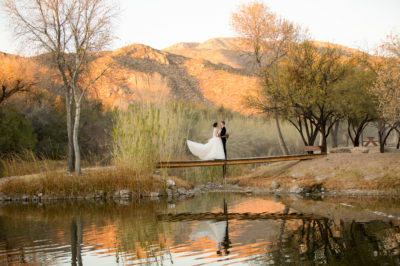 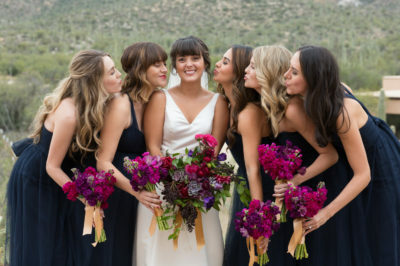 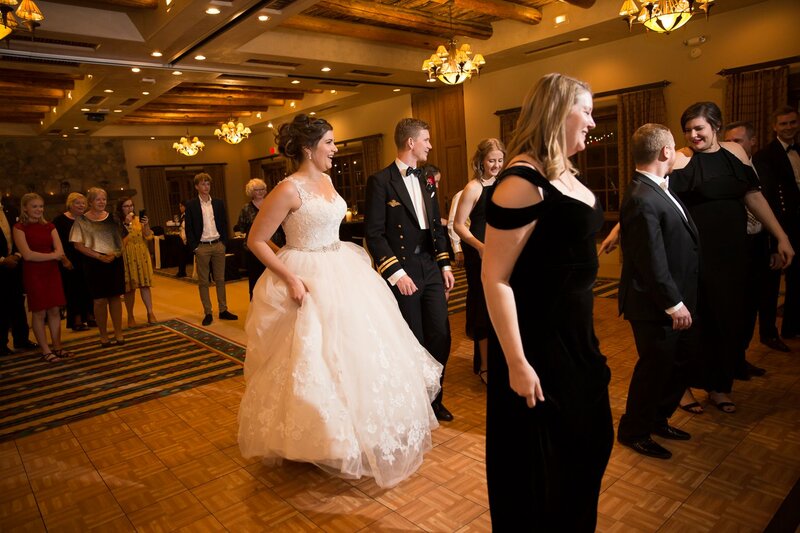 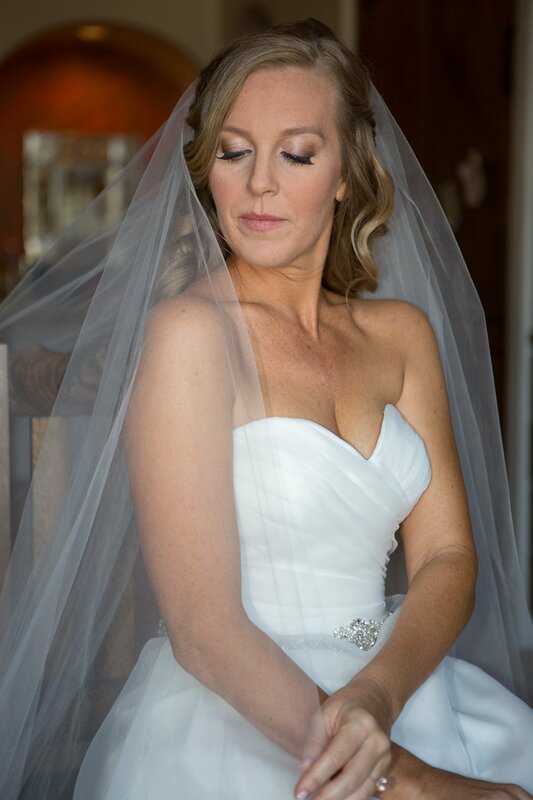 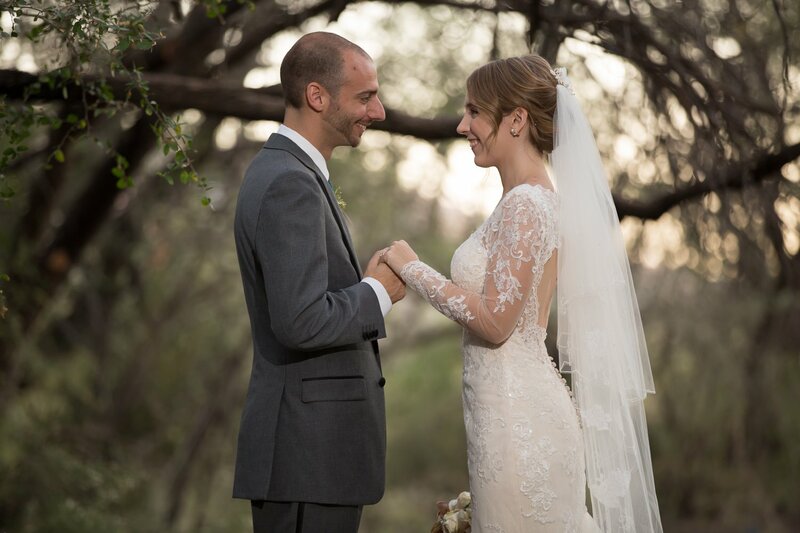 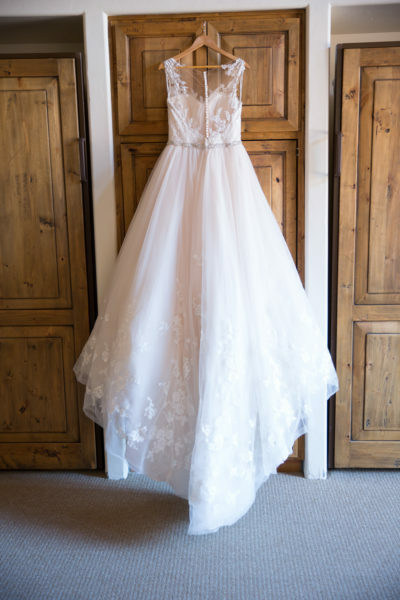 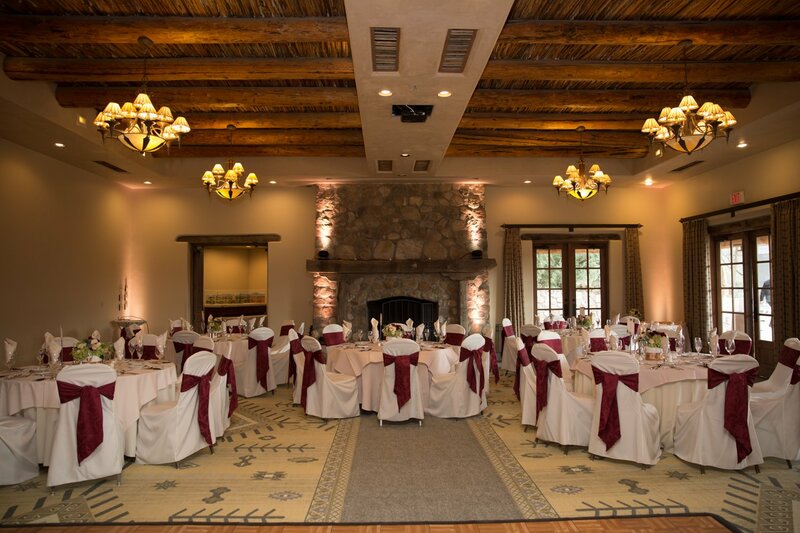 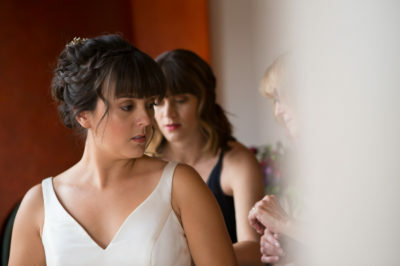 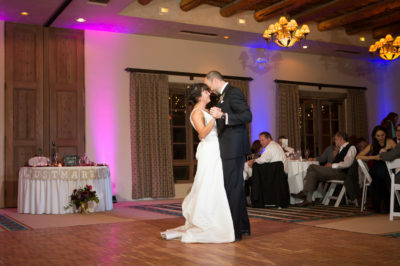 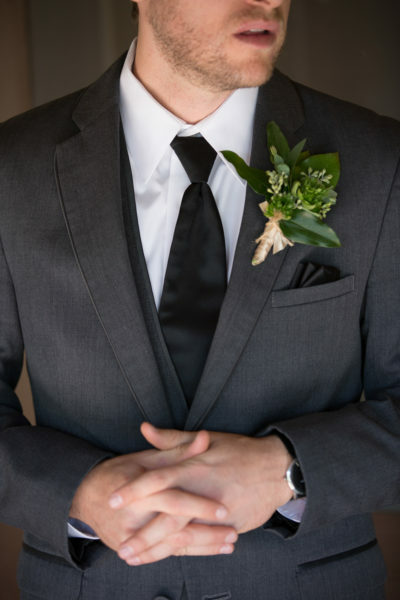 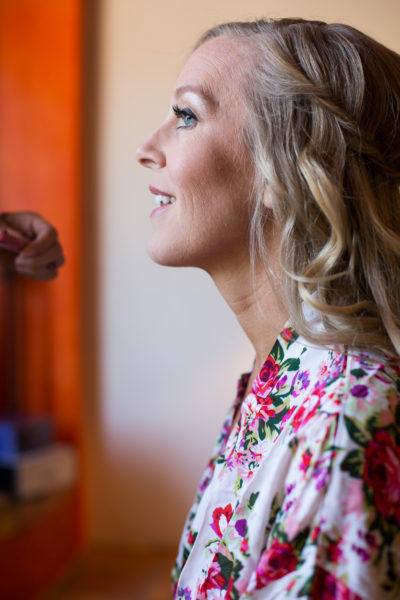 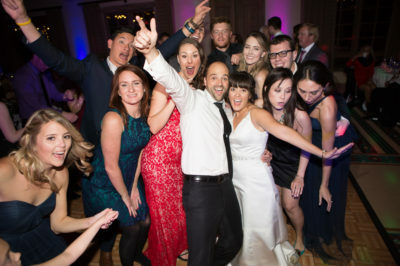 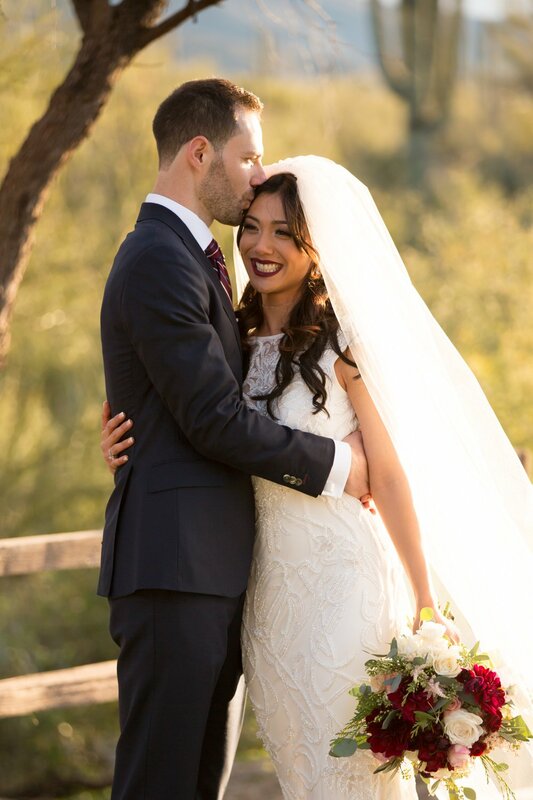 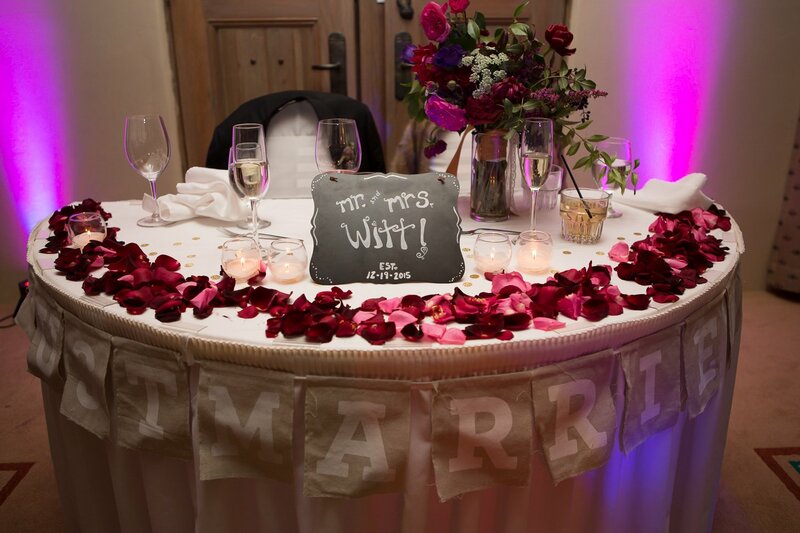 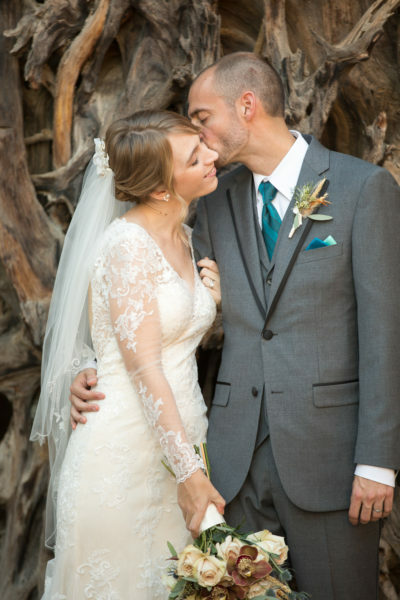 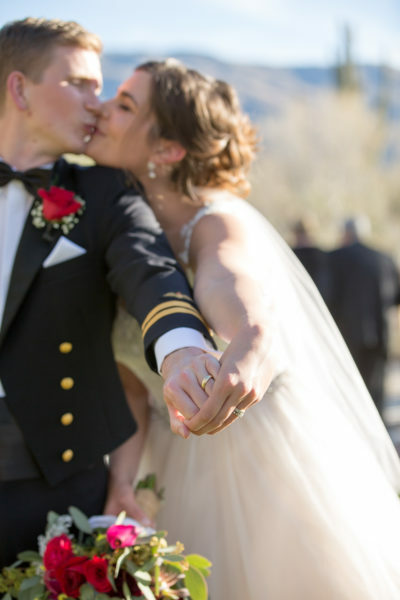 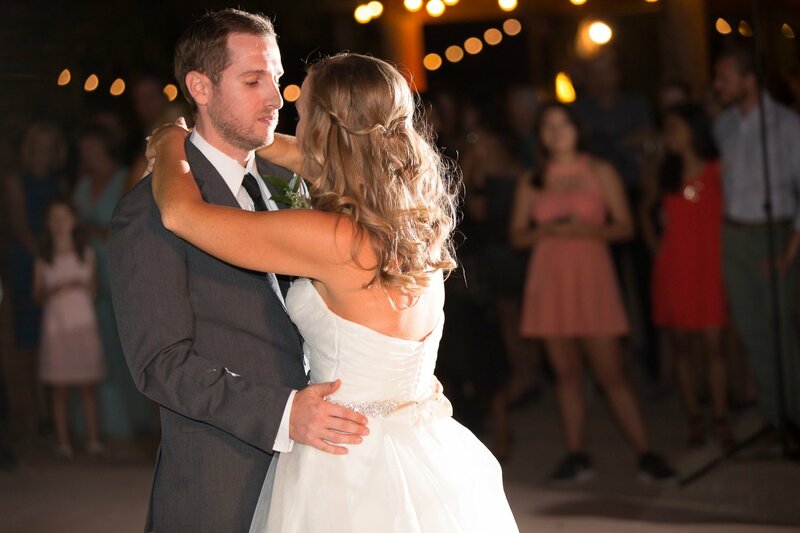 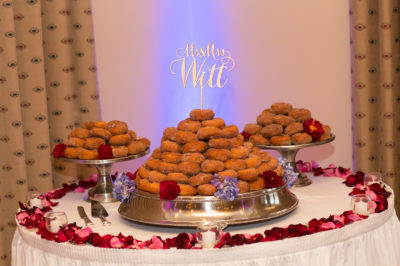 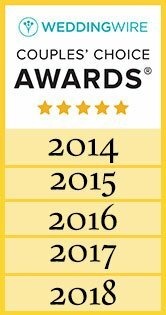 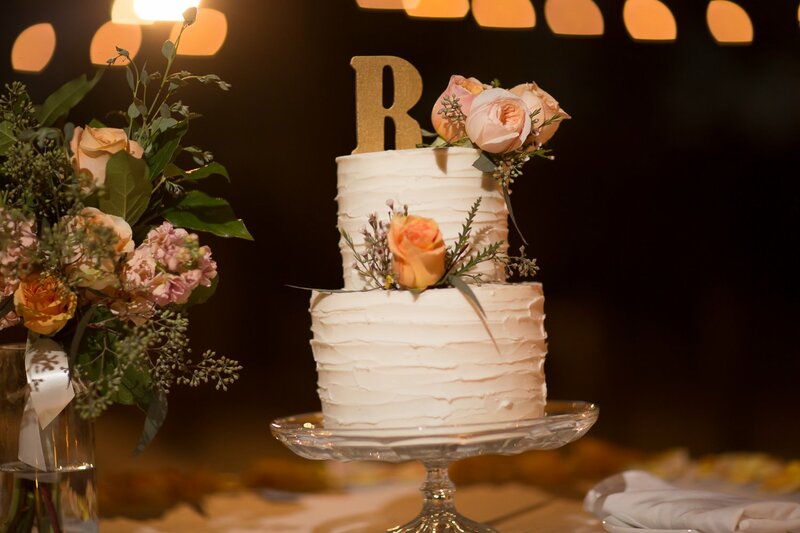 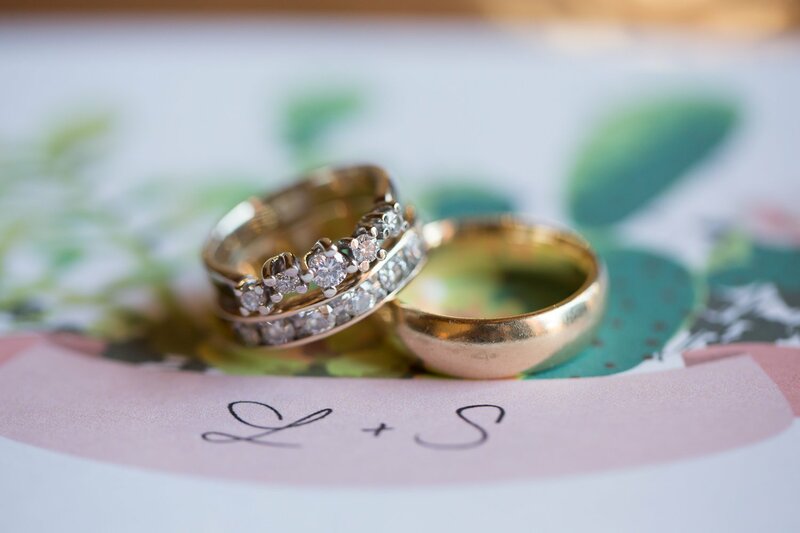 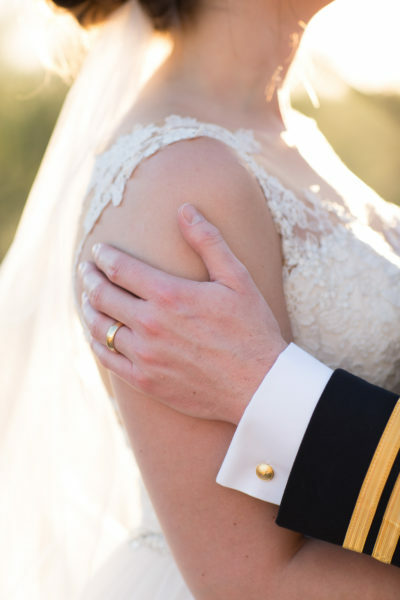 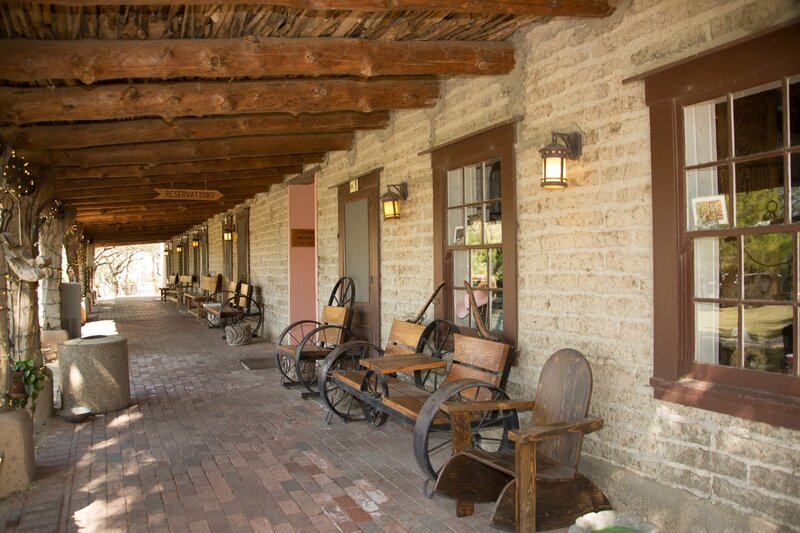 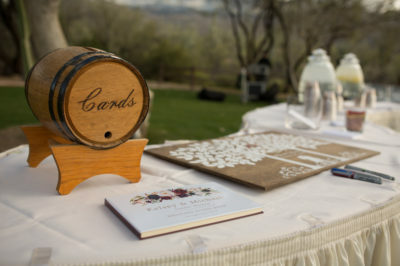 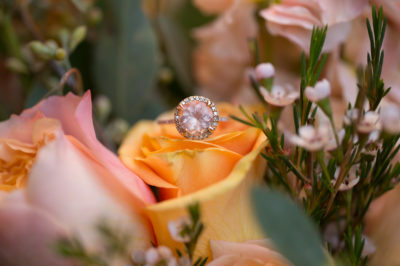 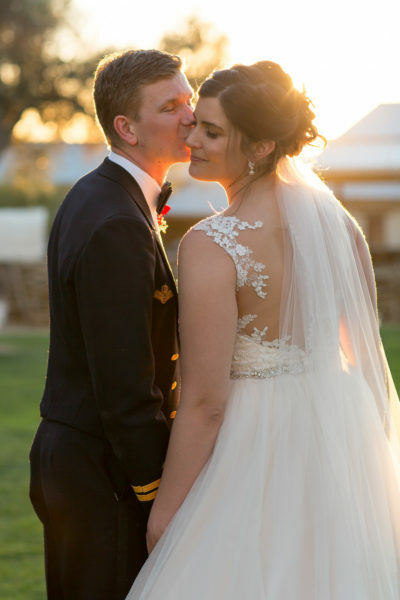 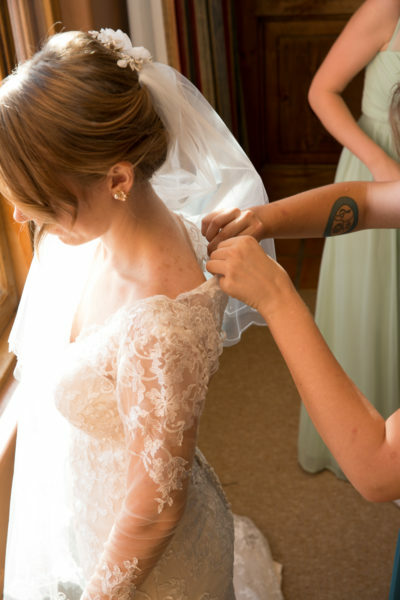 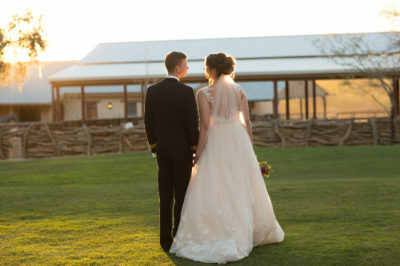 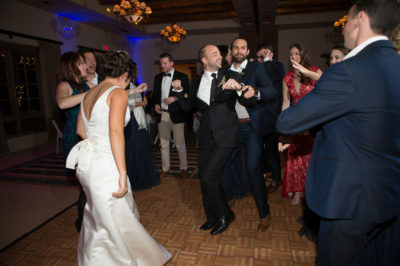 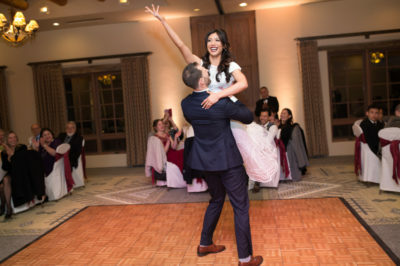 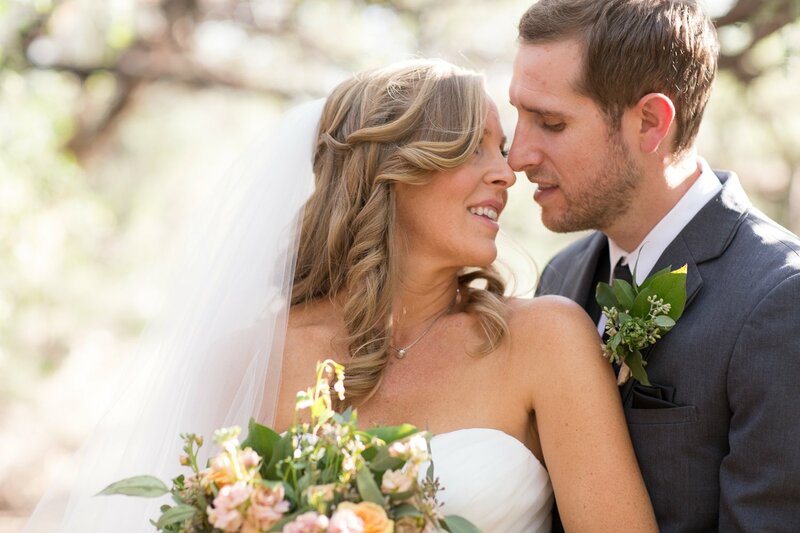 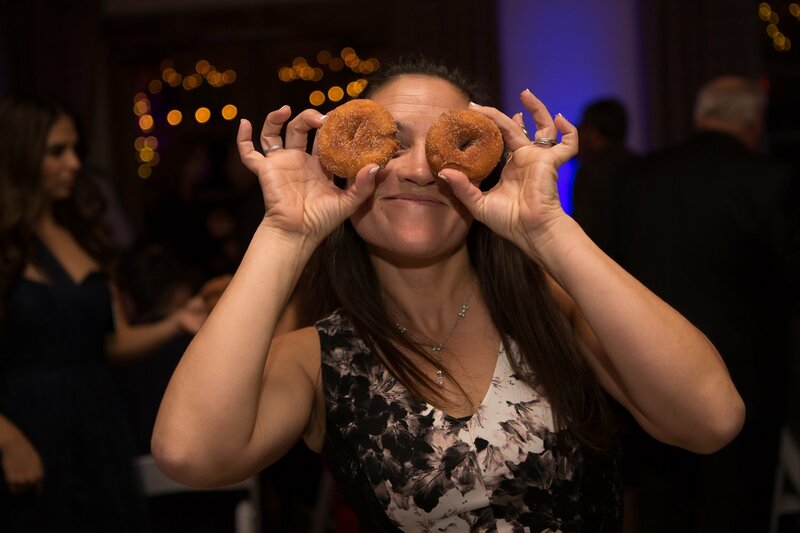 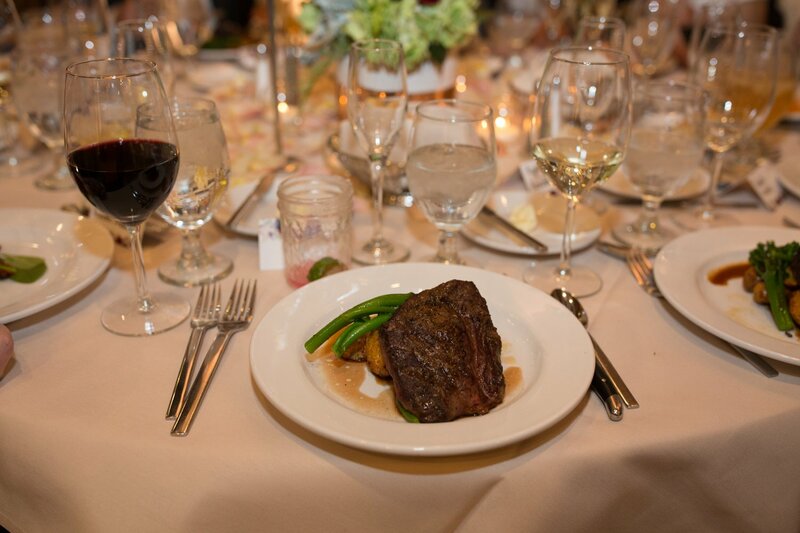 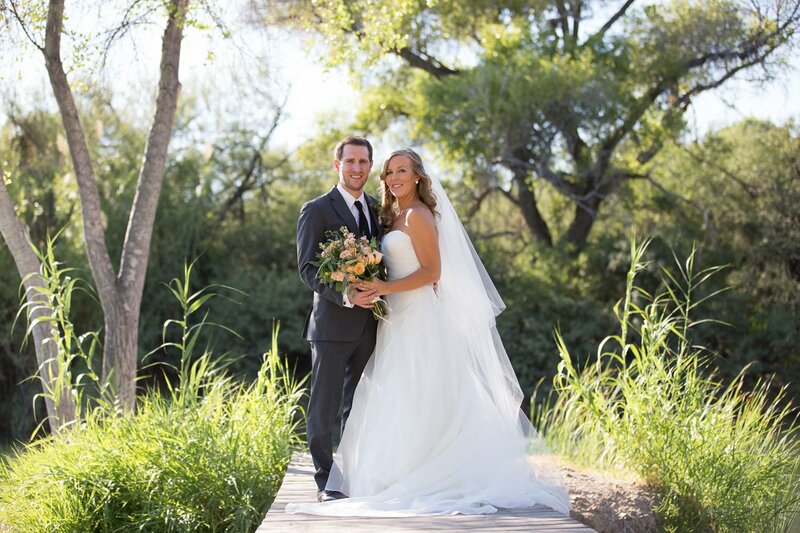 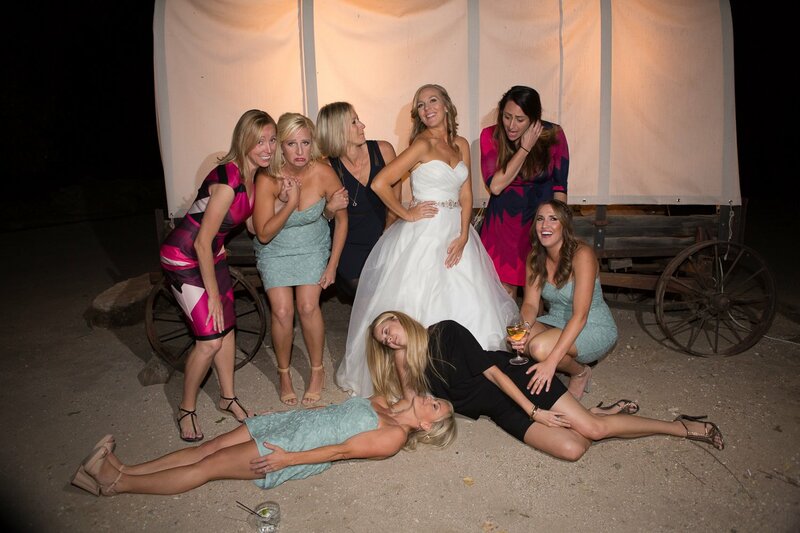 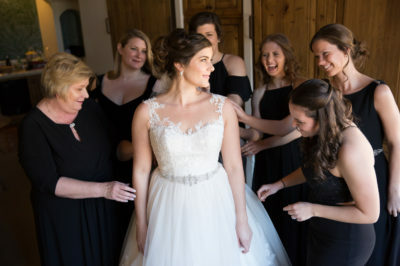 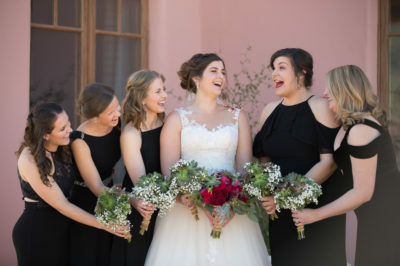 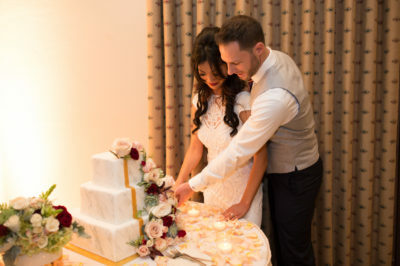 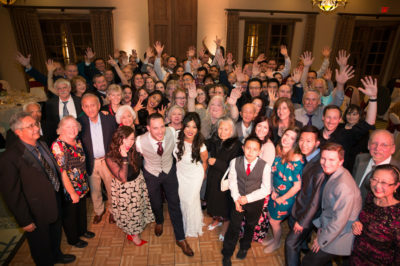 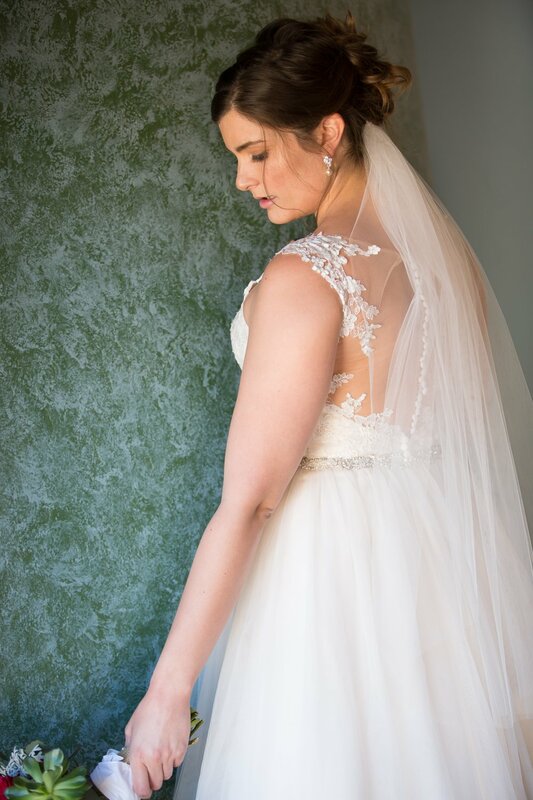 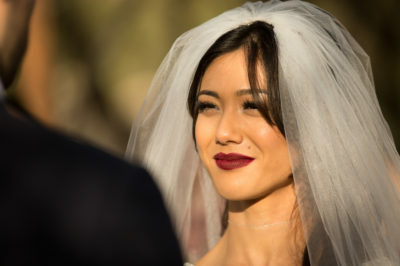 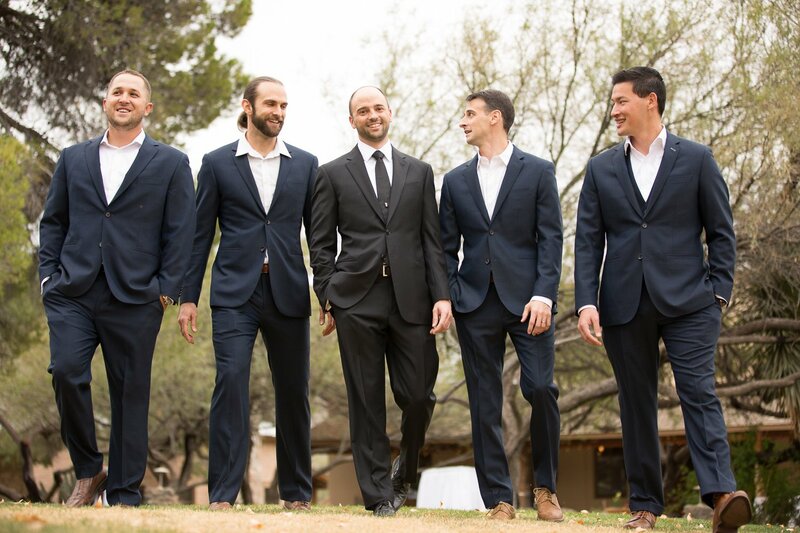 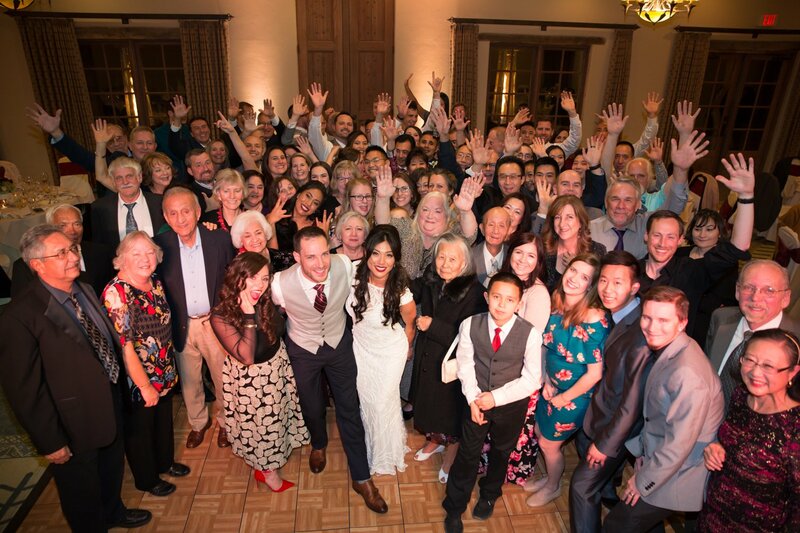 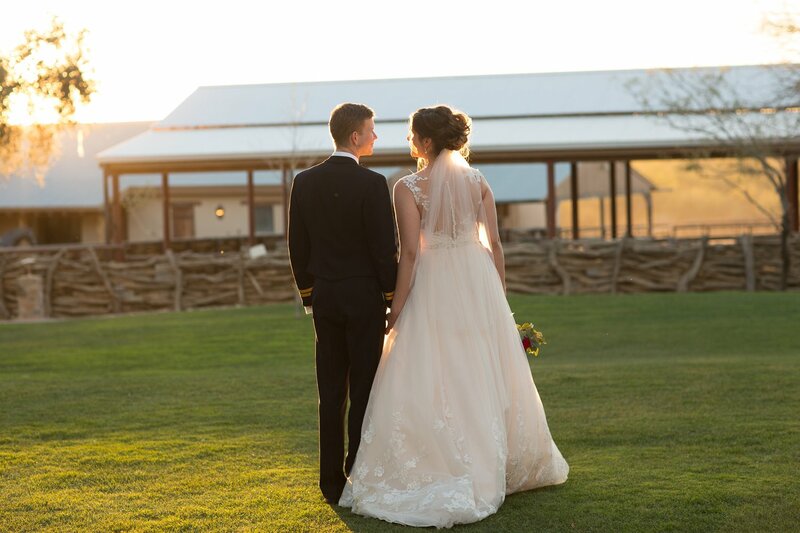 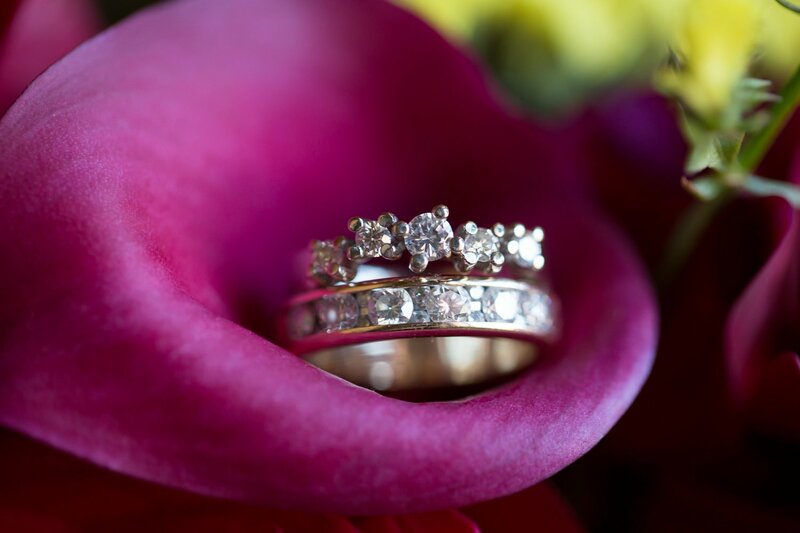 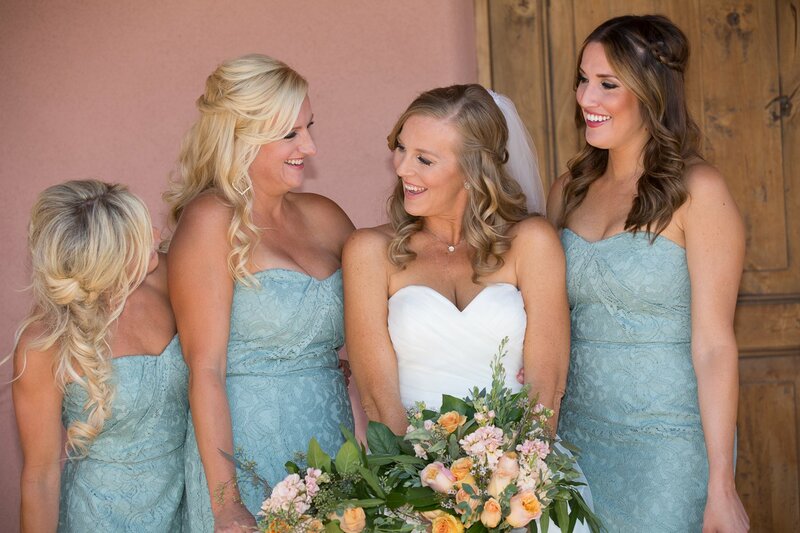 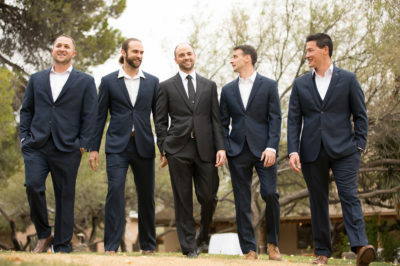 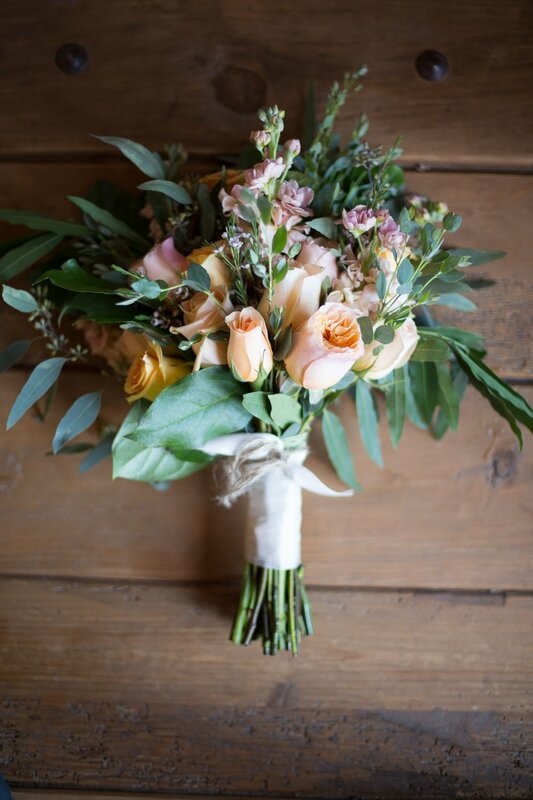 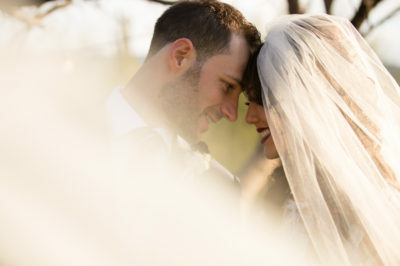 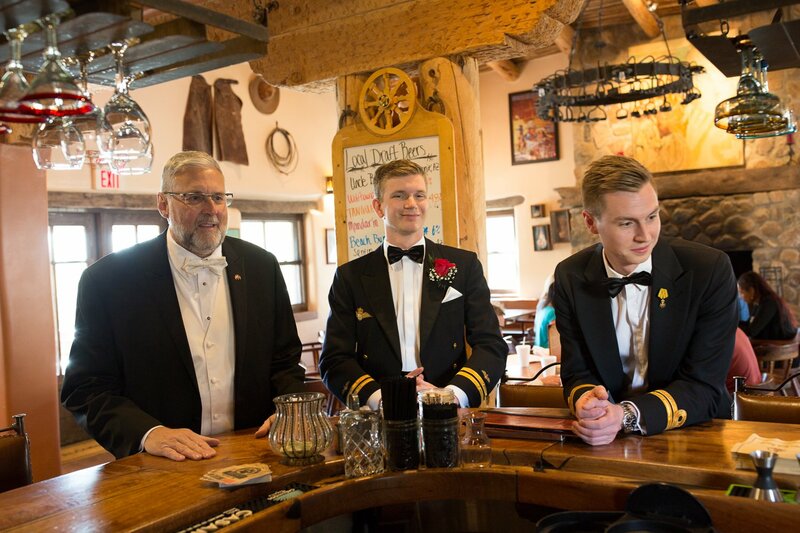 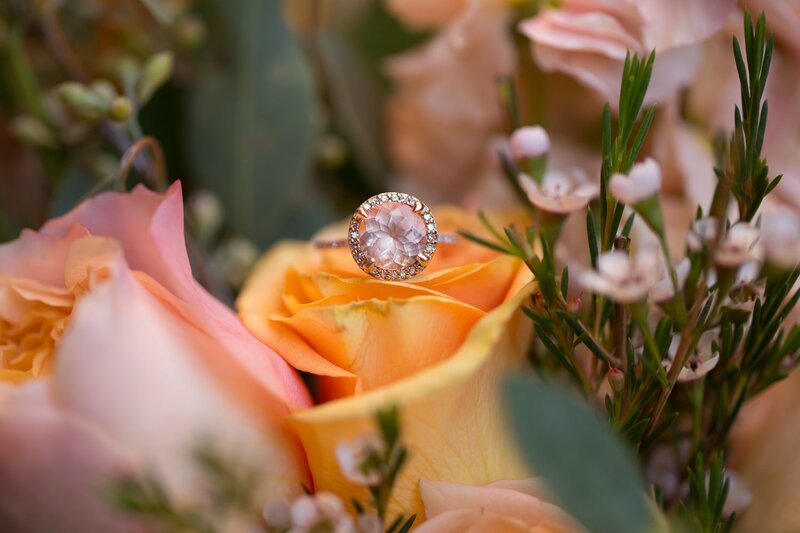 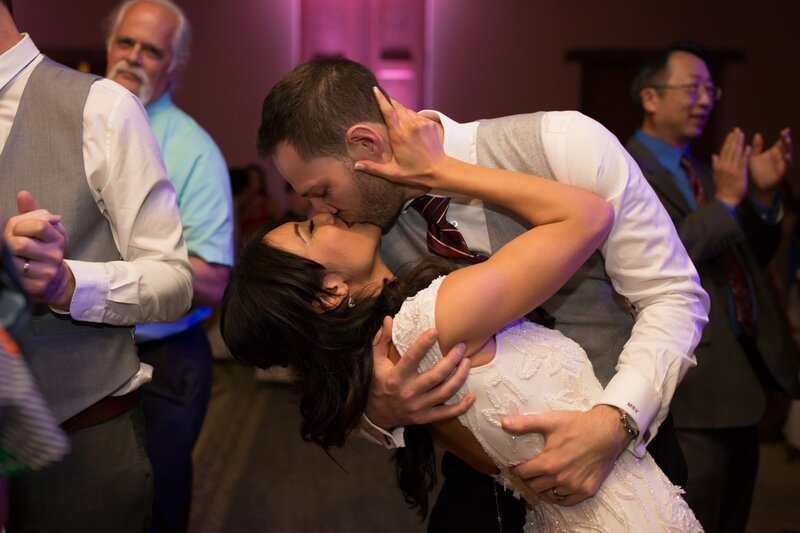 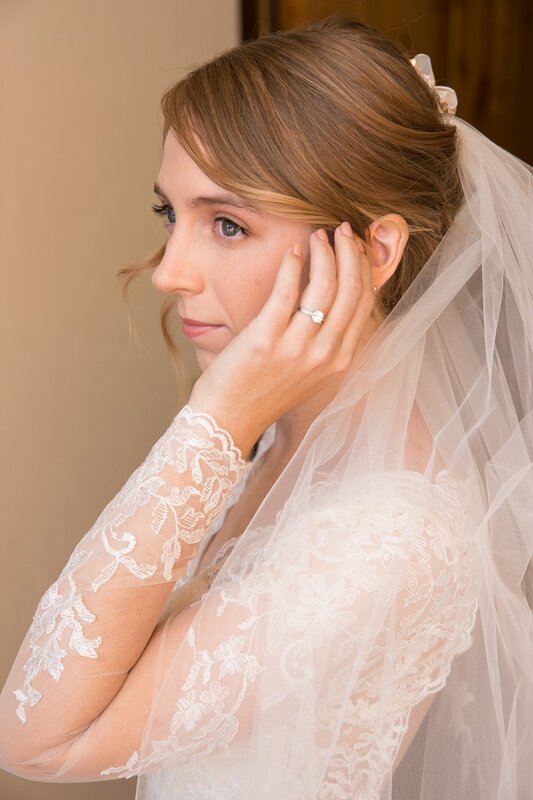 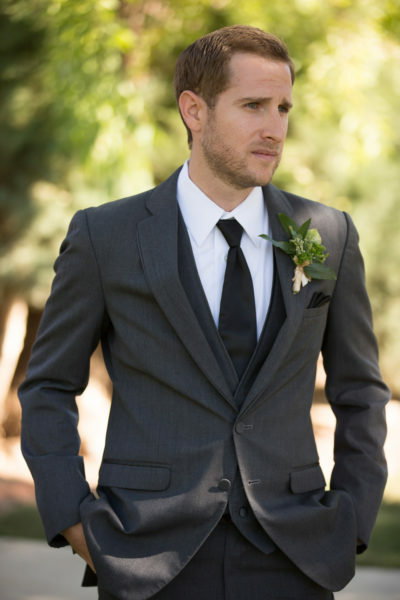 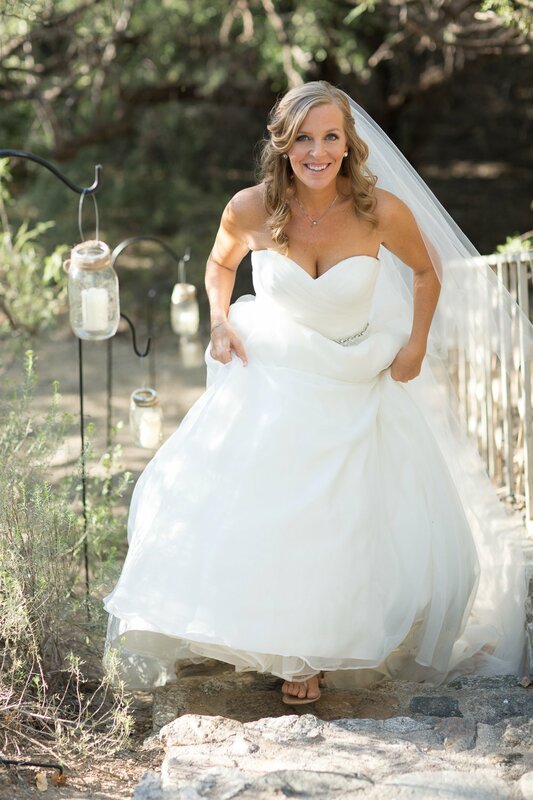 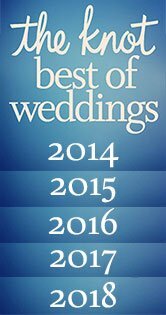 The staff at the ranch will help plan your perfect day with a variety of options to choose from. 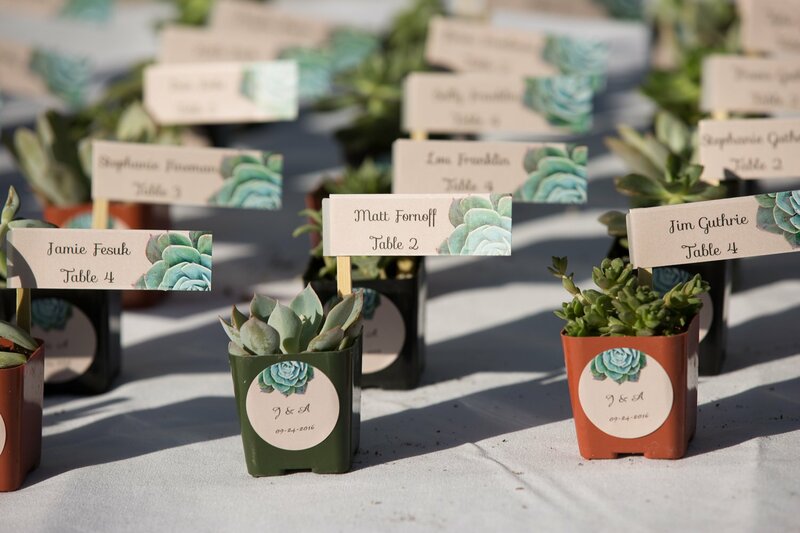 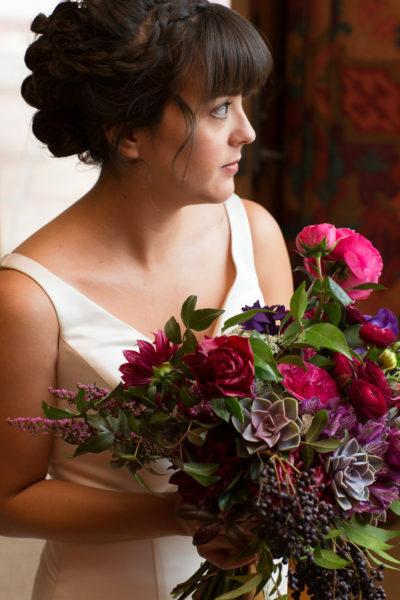 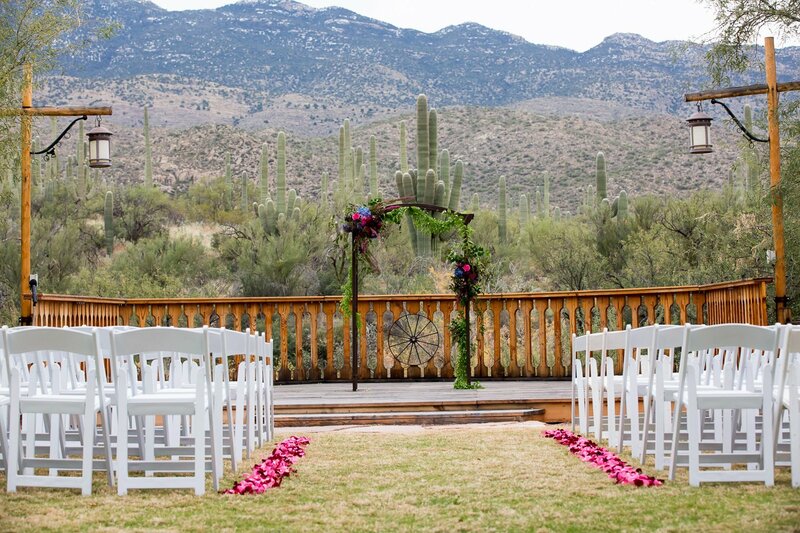 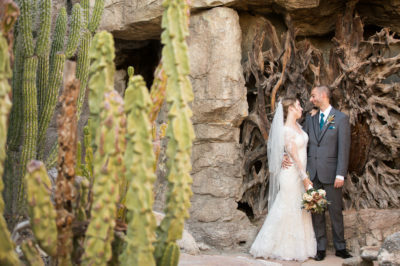 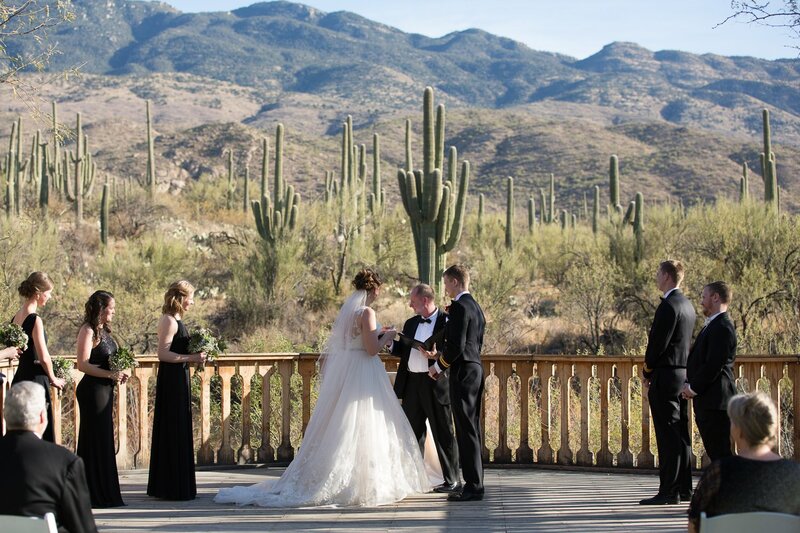 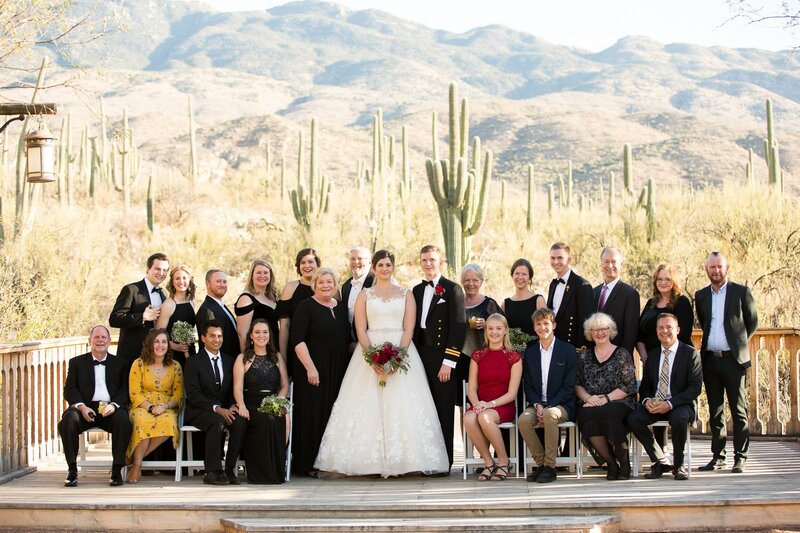 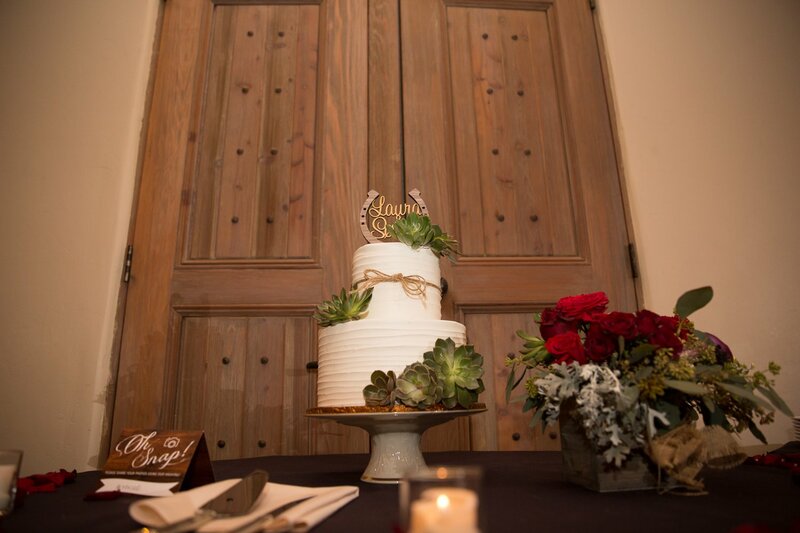 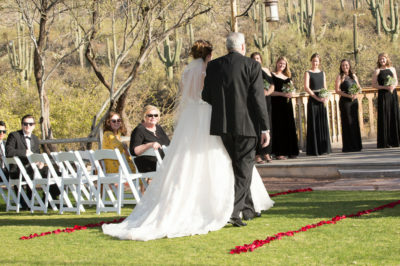 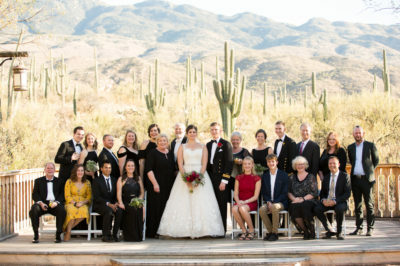 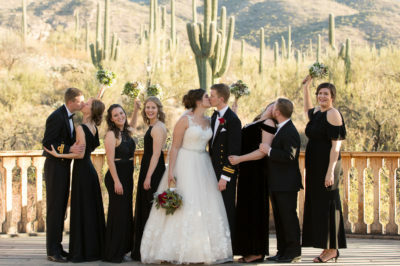 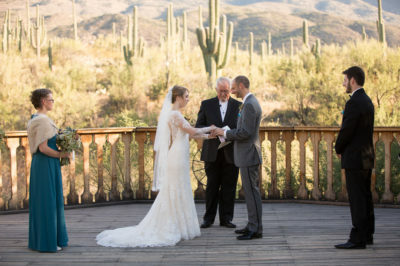 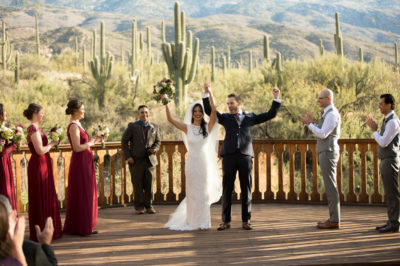 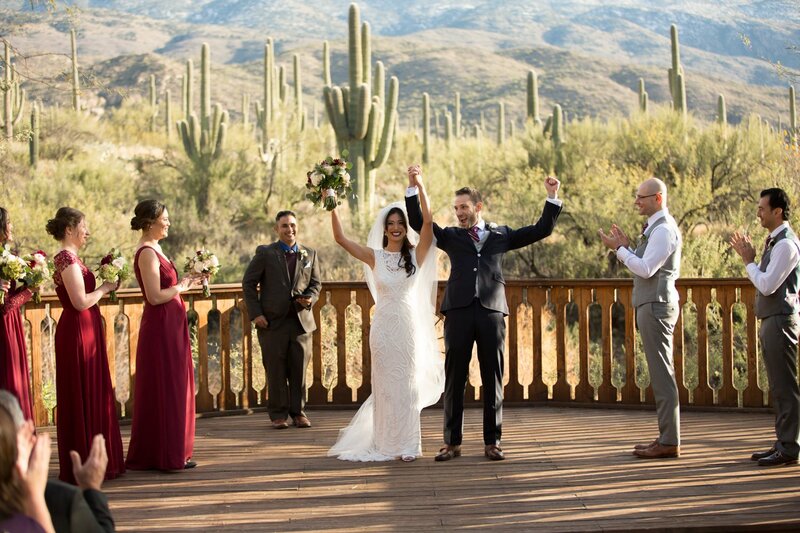 "Cactus View" weddings are a popular choice for wedding ceremonies. 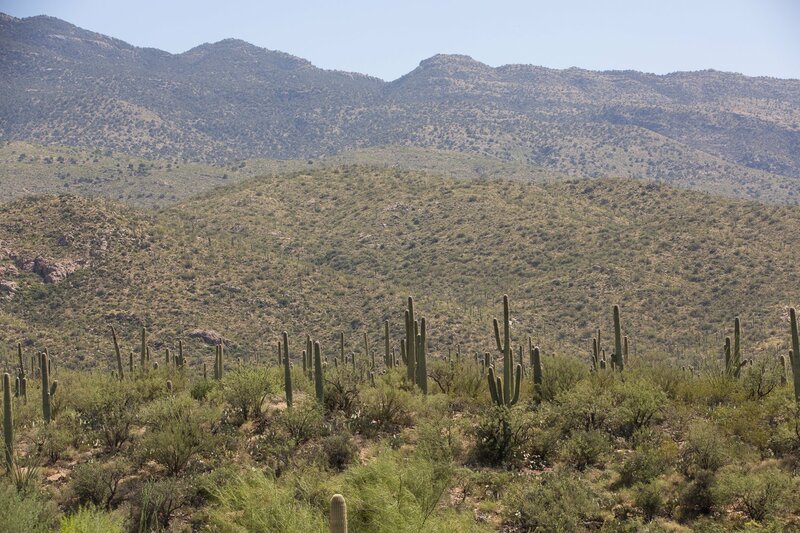 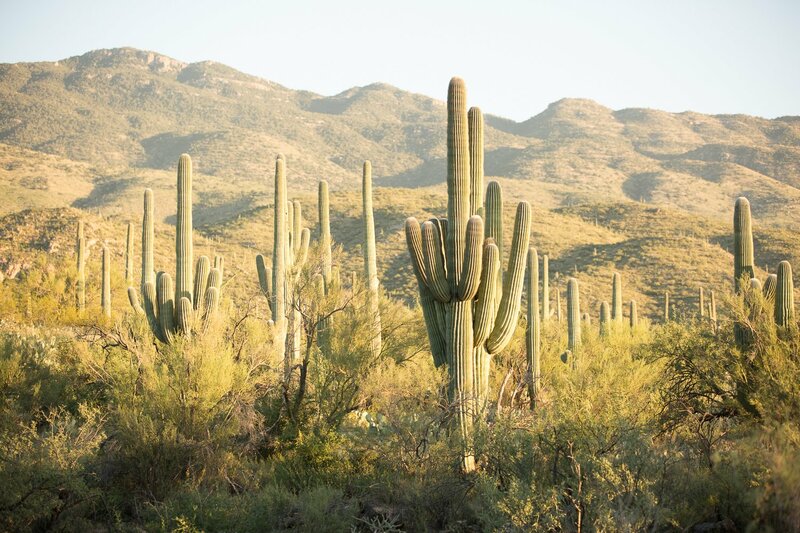 Mountains and saguaro cactus as far as the eye can see set the scene. 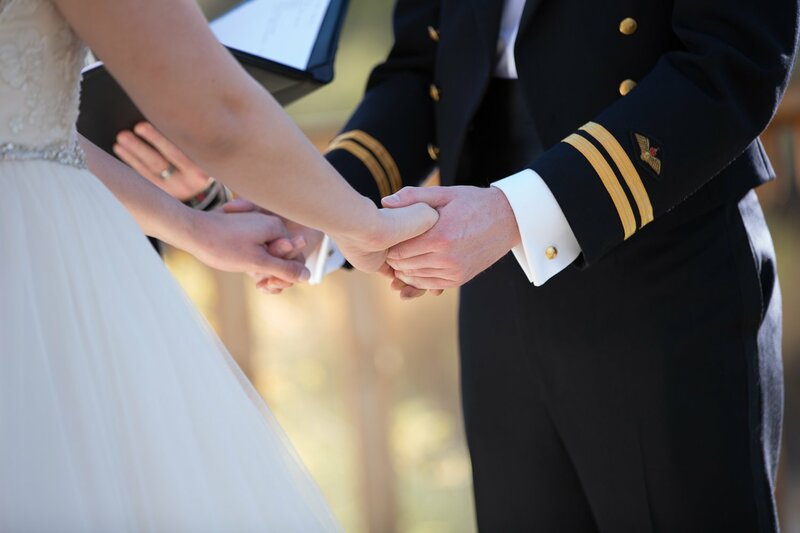 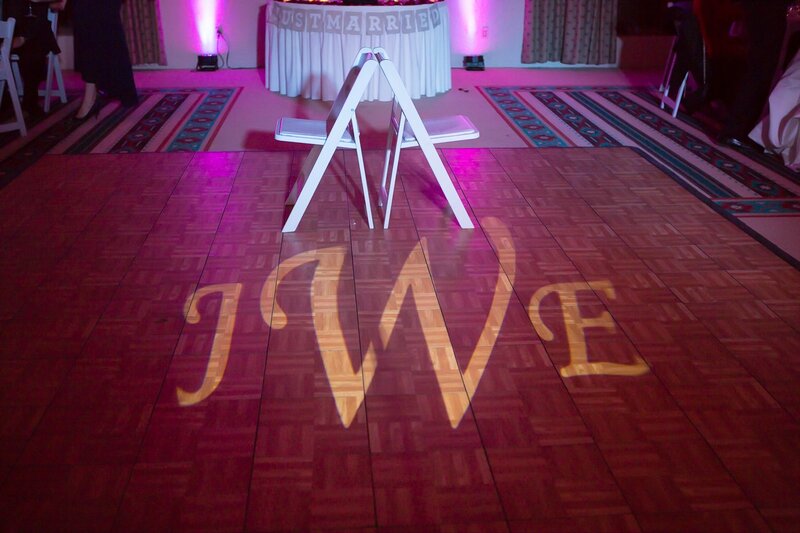 The large wooden deck provides the stage for the couple to stand while they say "I do". 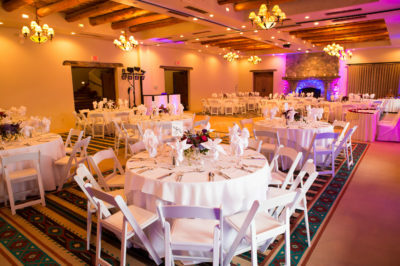 There are multiple dining rooms for the reception. However, if couples are looking for an outdoor space the large "Cottonwood Grove" impresses everyone. 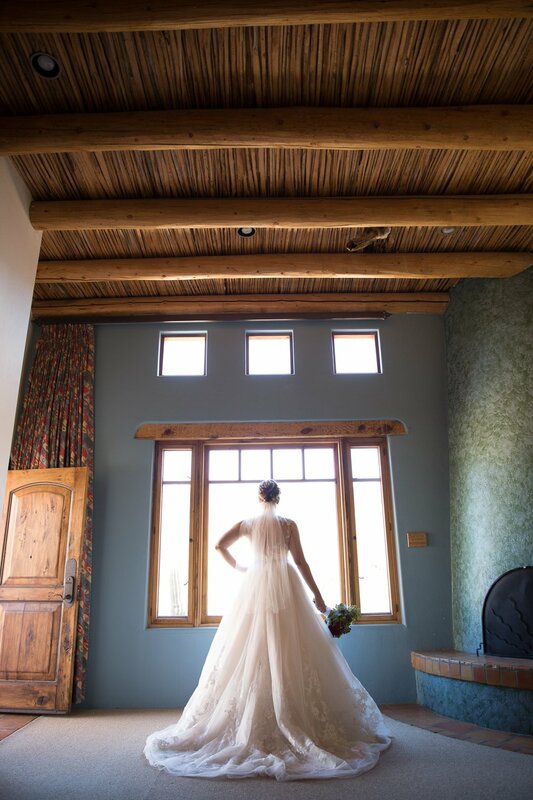 Available in Fall of 2019 "The Barn" will be the ultimate wedding space. 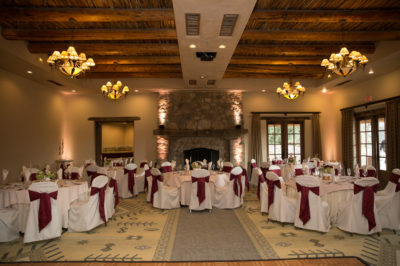 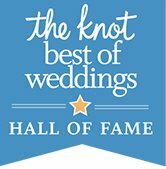 Providing indoor and outdoor places for the ceremony and reception "The Barn" will boast out of this world drapery, lighting, and fixtures. 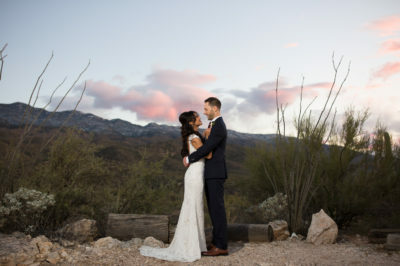 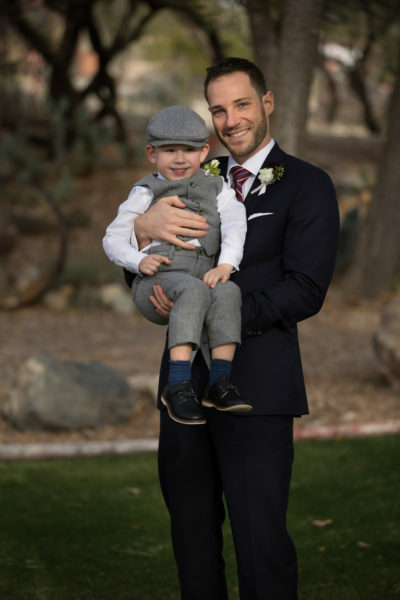 As Tuscon wedding photographers, our favorite time during a wedding is when we get to take the couple to multiple areas around the ranch for photos. 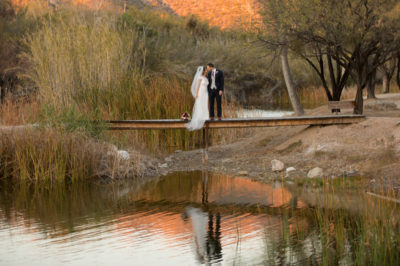 There is a lake, mesquite arch, and the sunsets at the Old Homestead are a must for photo opportunities.